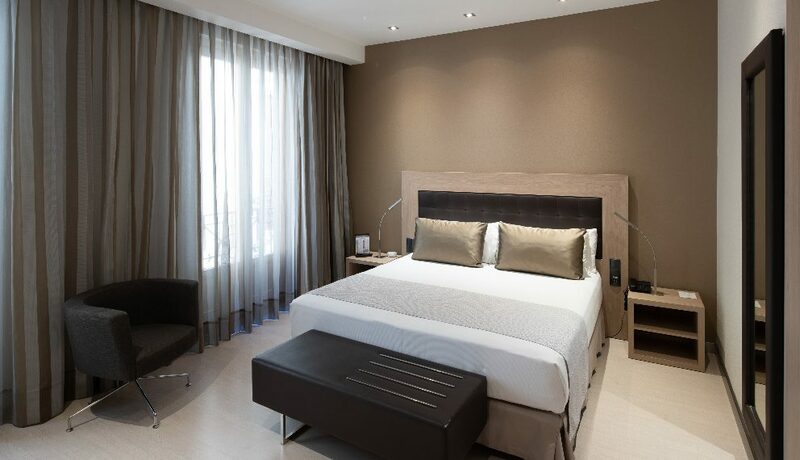 The three variables of quality, price and location guide your choice of the hotel that best tailors to your needs. 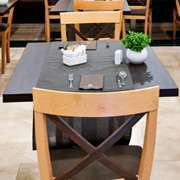 The opinions of other travellers also influence your decision. 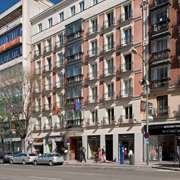 It’s not like in the old days - now a hotel in the centre of the city isn't necessarily any more expensive than one on the outskirts. 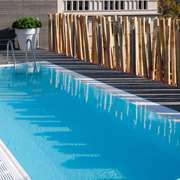 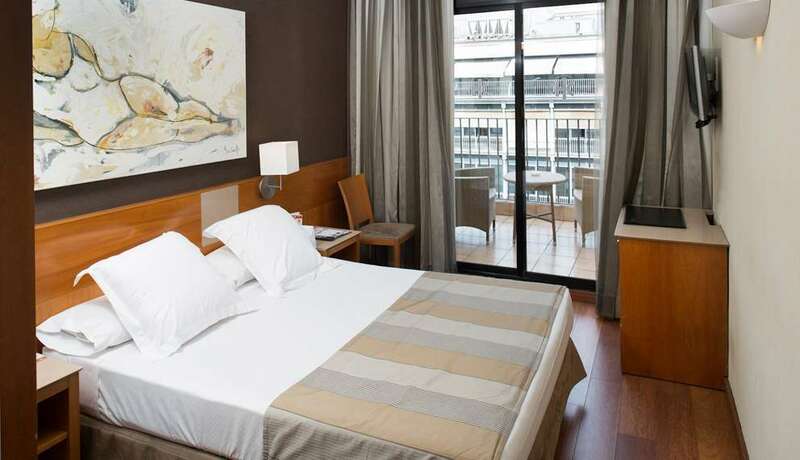 Today many city hotels offer discounts and promotions that make them very attractive. 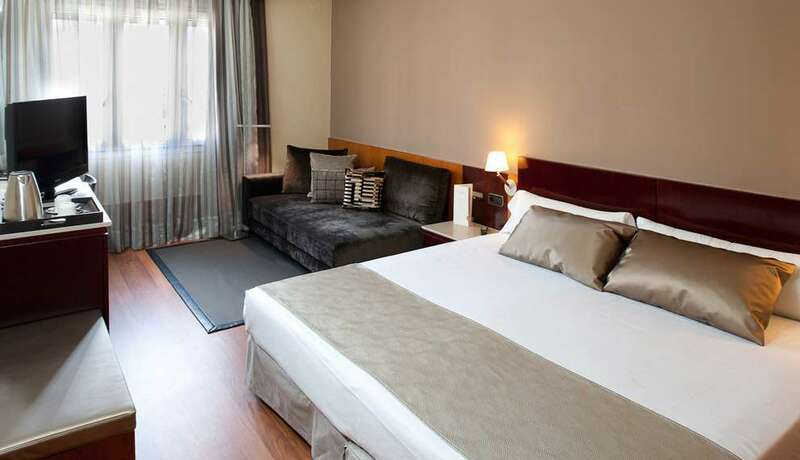 Why not go for a centrally located hotel? 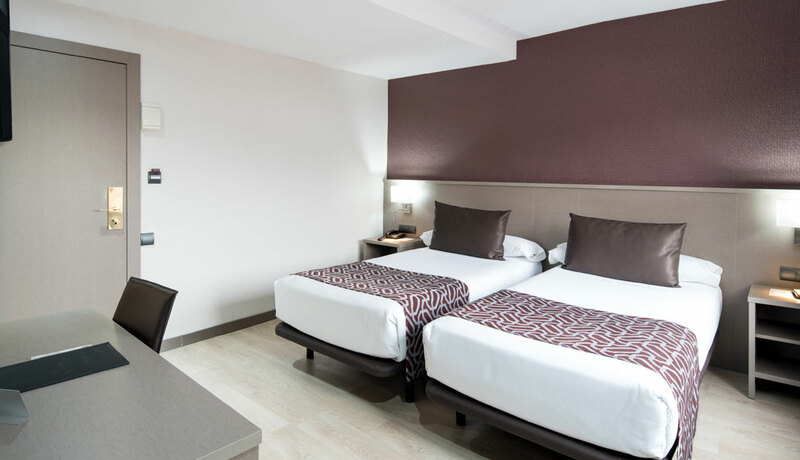 If your trip is for leisure and especially if you are travelling as a family, it's a good idea to consider the benefits of a city hotel and the advantages of being well communicated and close to the places you want to visit. 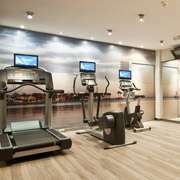 Knowing you can easily make your way back to the hotel if you need to is a big draw when travelling. 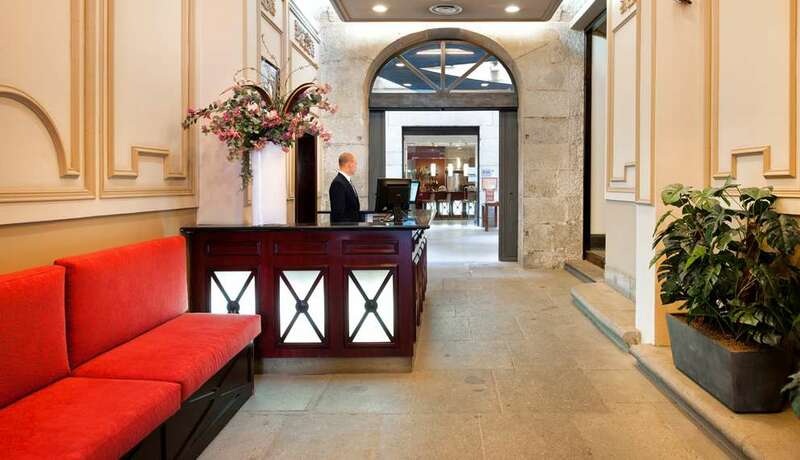 Popping back to the hotel to rest or if you’ve forgotten something won't be a problem. 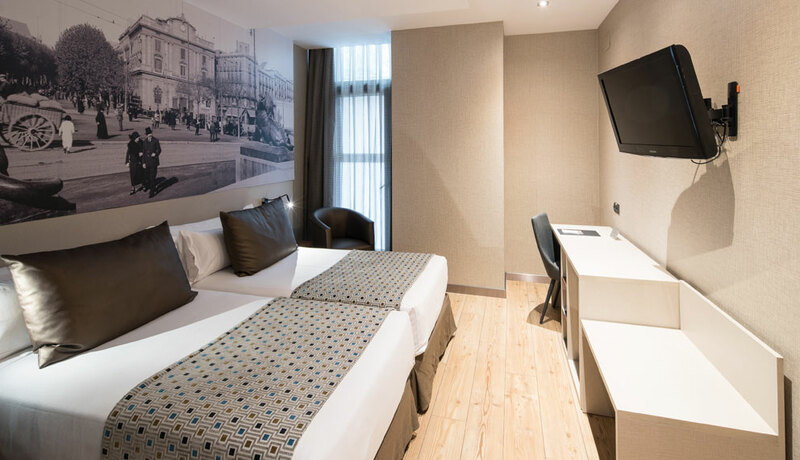 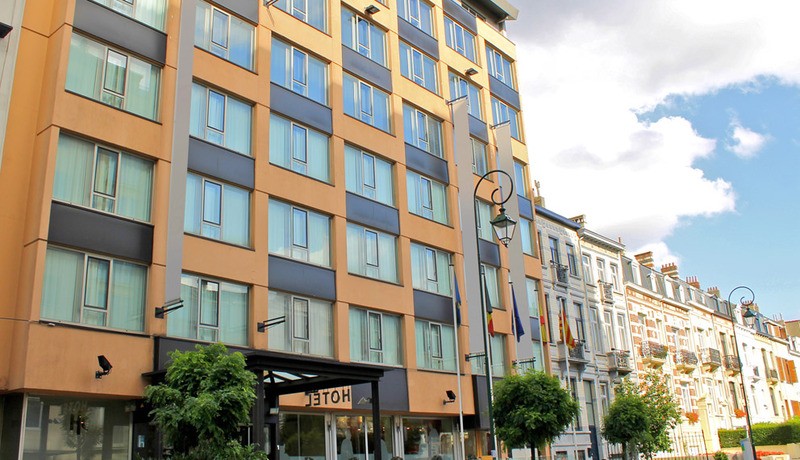 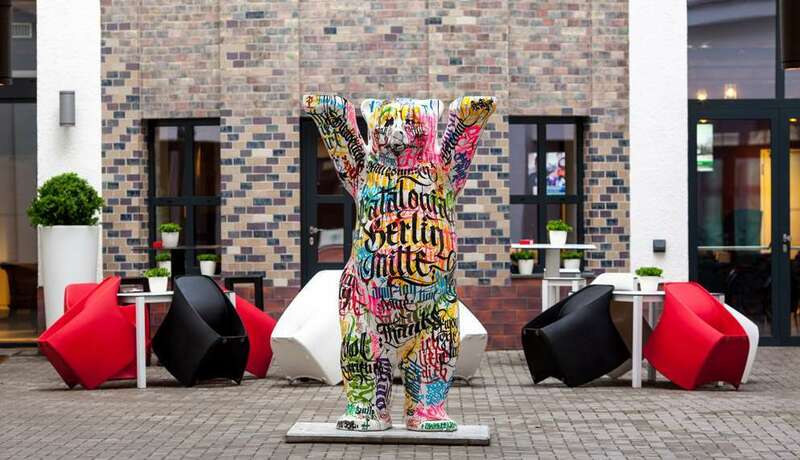 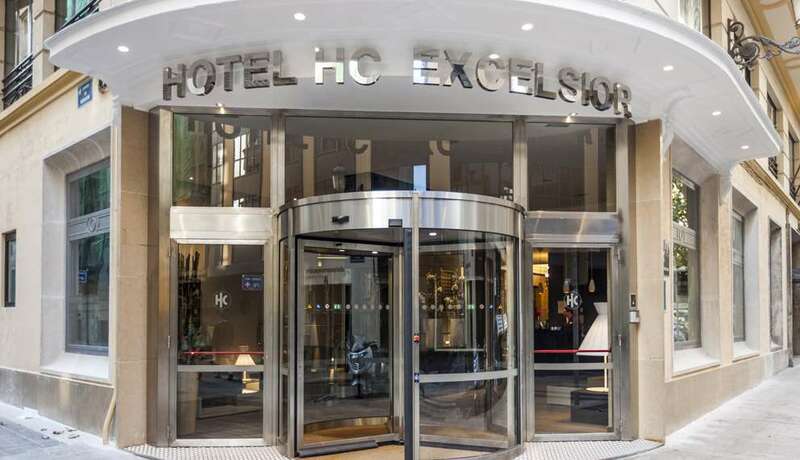 If you’ve arrived in town by coach or train a city hotel will be a byword for convenience and saving, because the major stations in most cities are in the old town, so you save time and money getting around. 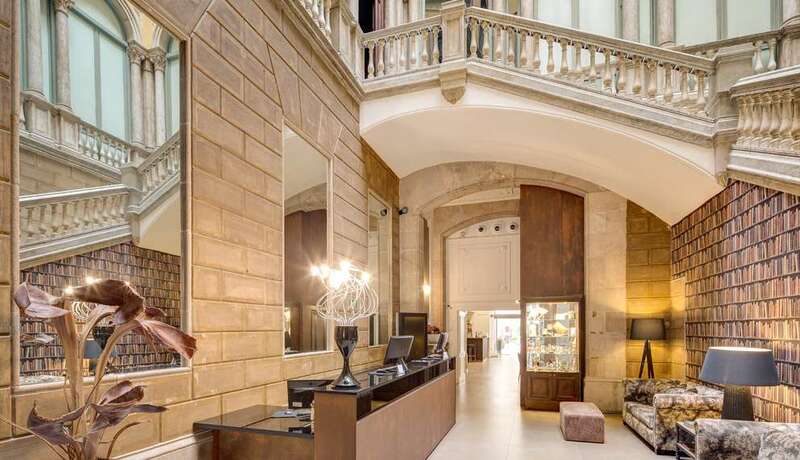 Another point to consider is that with a city hotel you won't need a car. 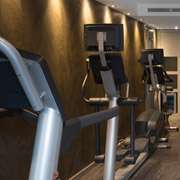 You won't have to worry about public transport timetables, an issue that can condition leisure activities, especially at night. 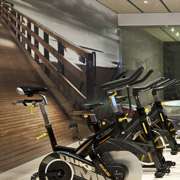 You’ll be able to get around town on foot, like a true urbanite, without a care in the world. 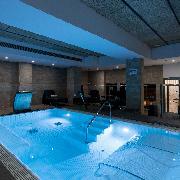 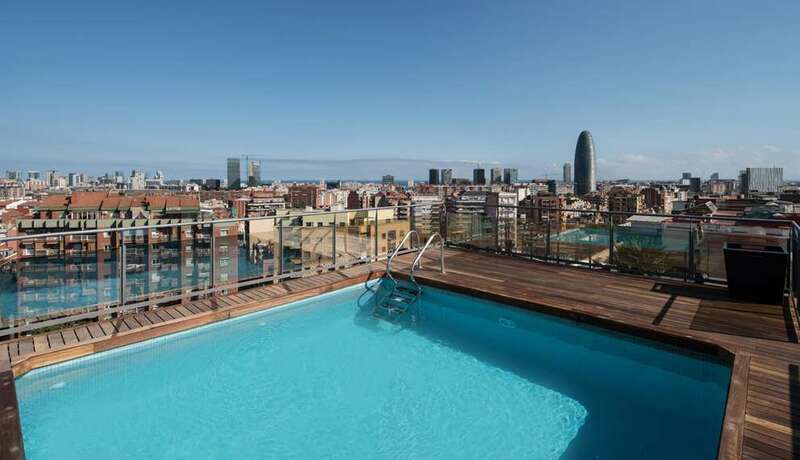 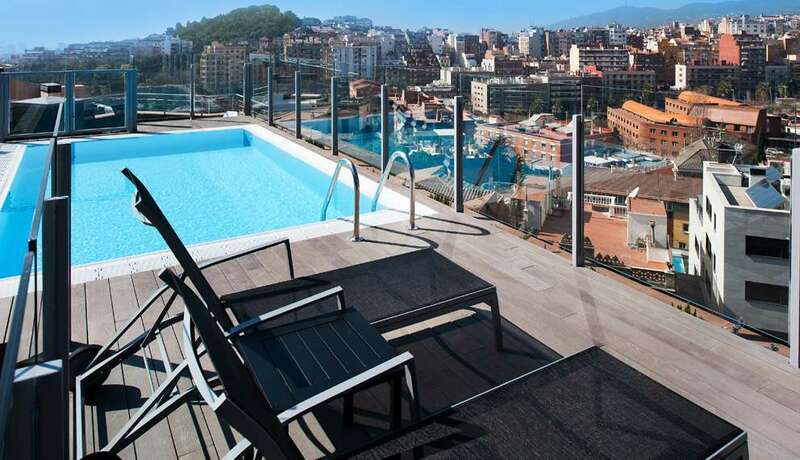 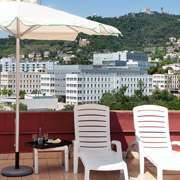 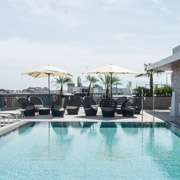 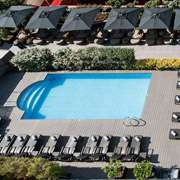 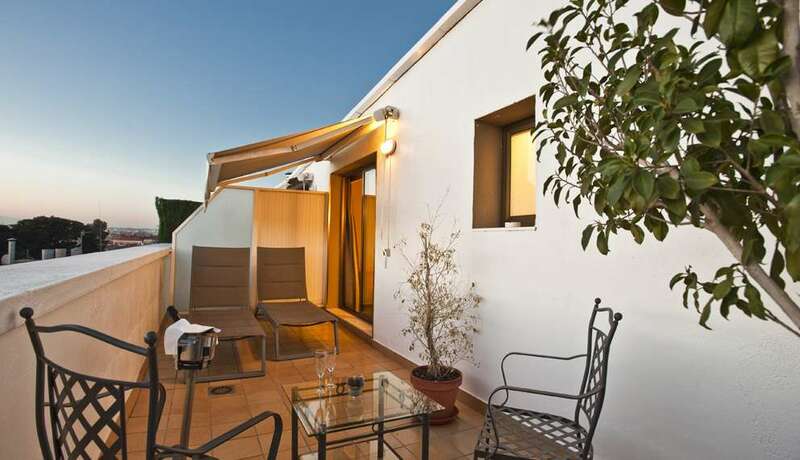 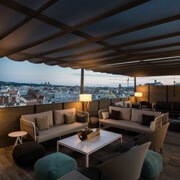 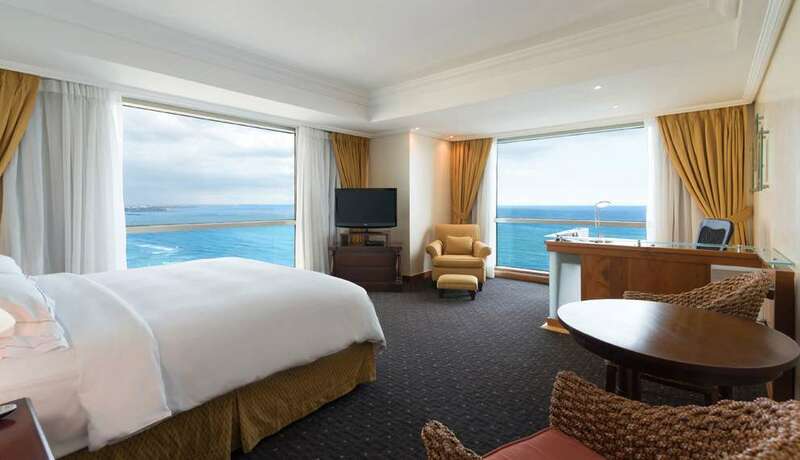 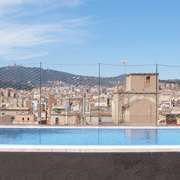 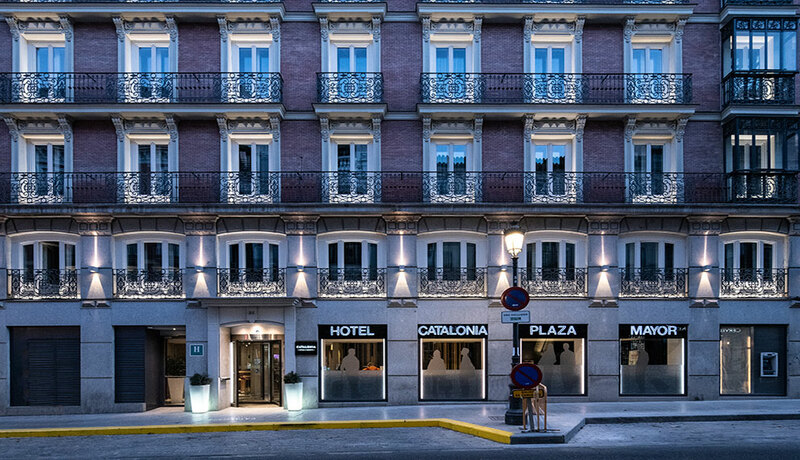 Catalonia Hotels & Resorts gives you a wealth of charming city hotels for a fantastic holiday. 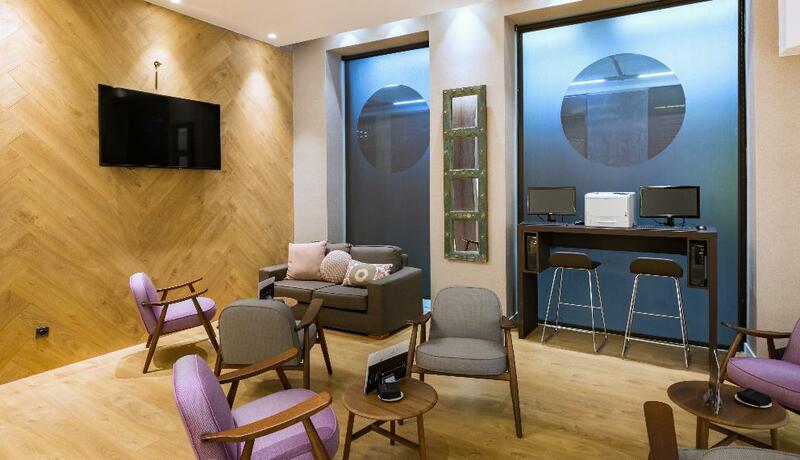 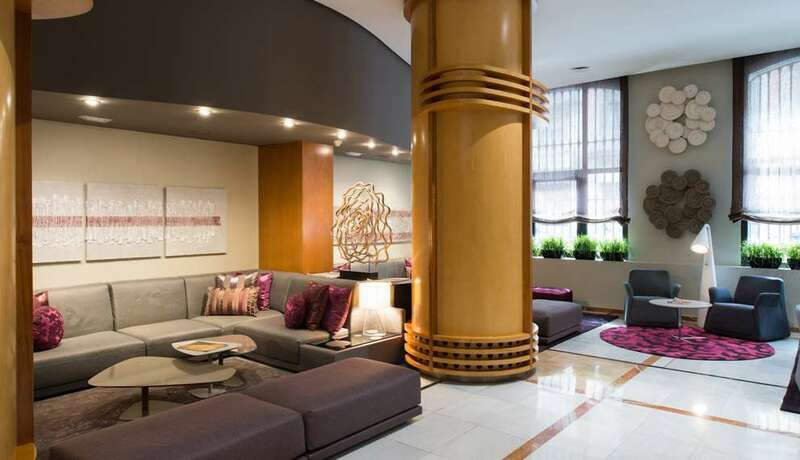 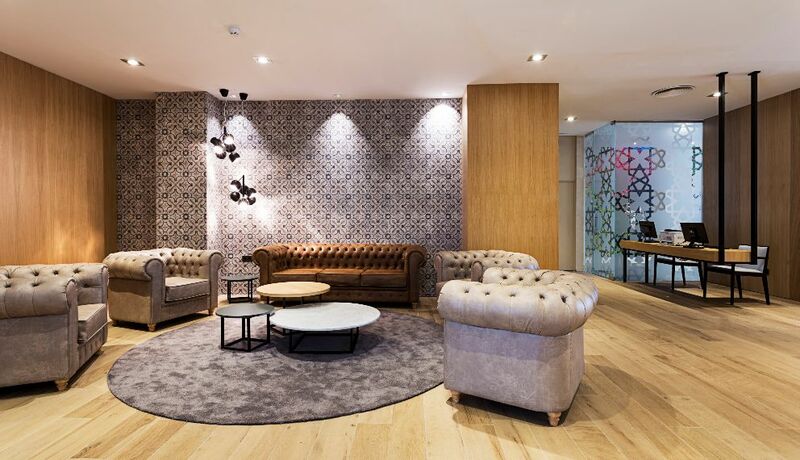 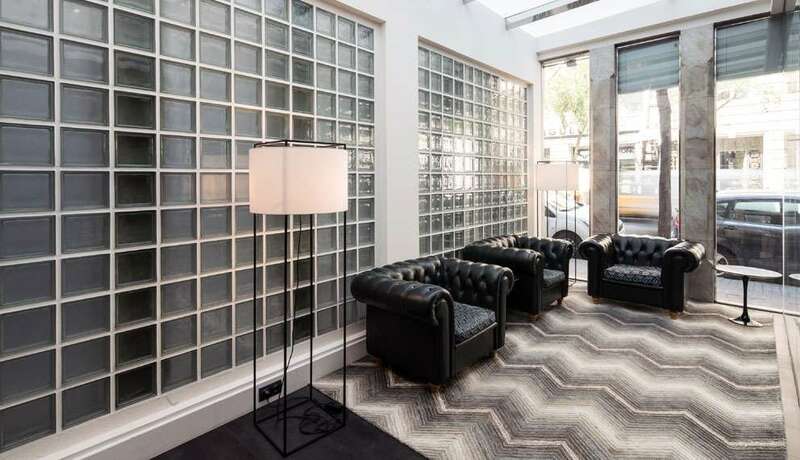 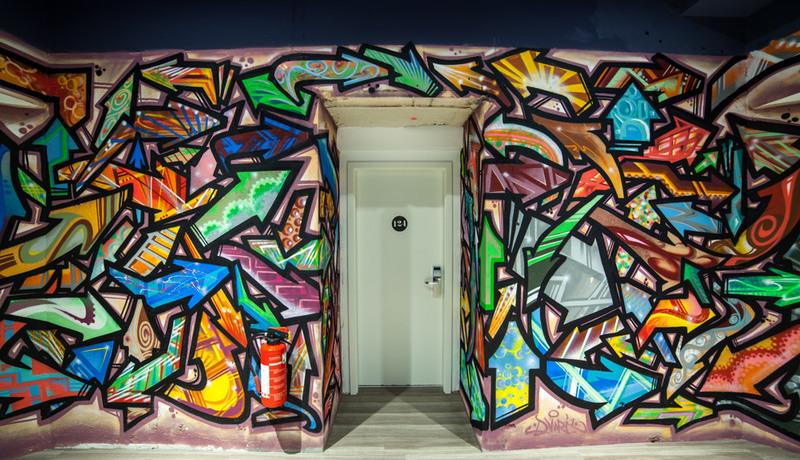 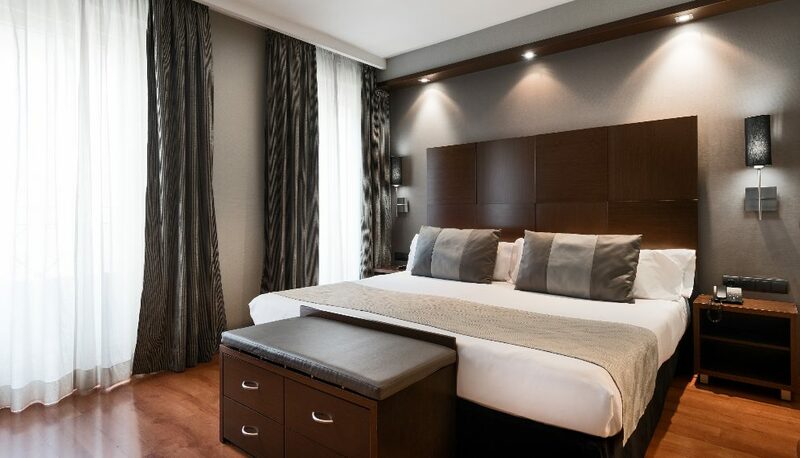 Booking a room means you’ll be able to throw yourself into the life of the city, soaking up the thriving atmosphere. 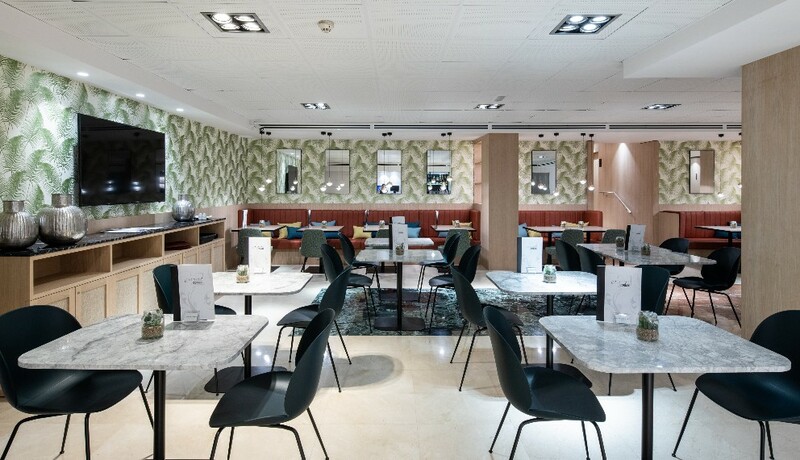 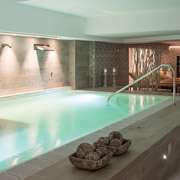 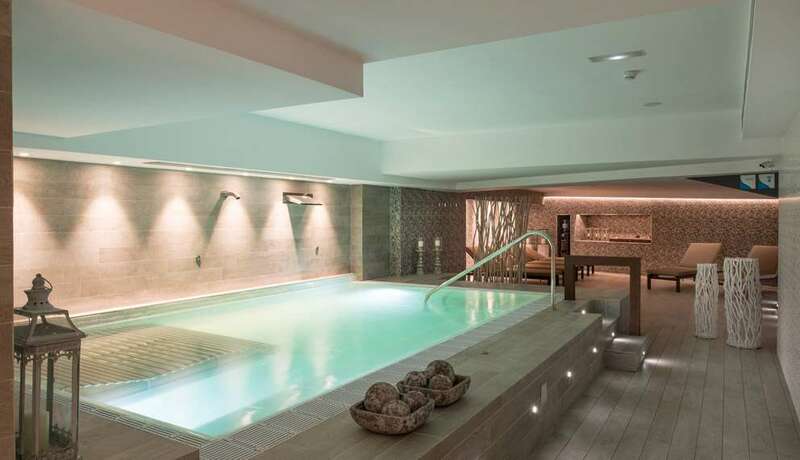 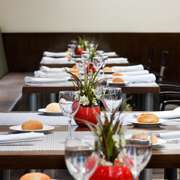 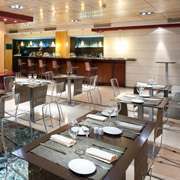 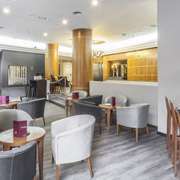 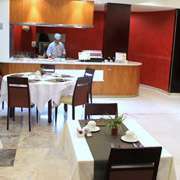 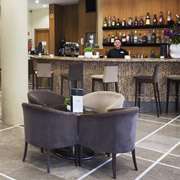 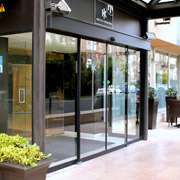 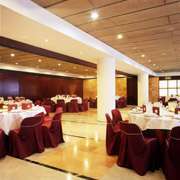 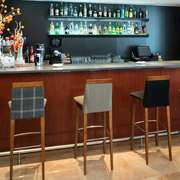 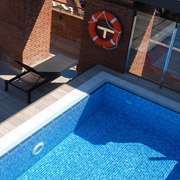 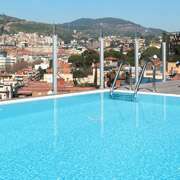 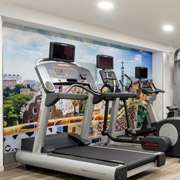 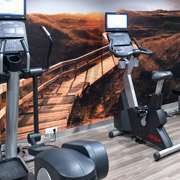 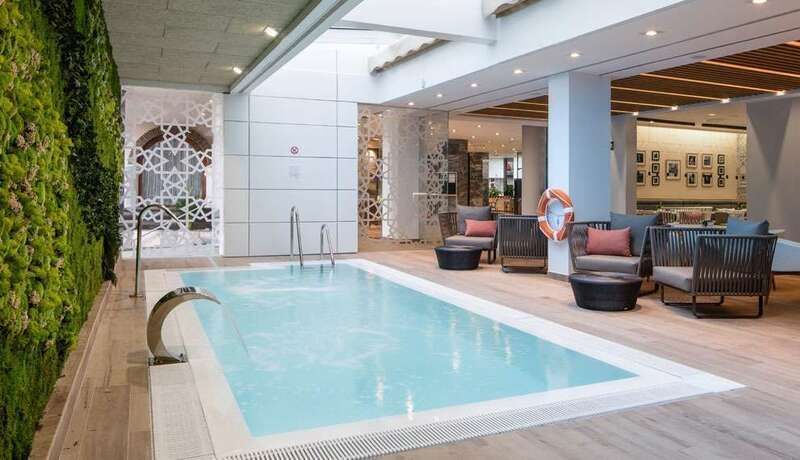 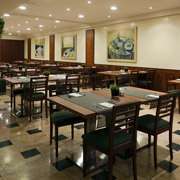 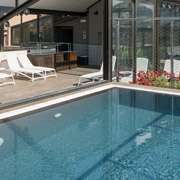 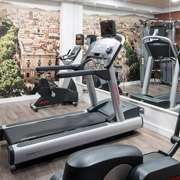 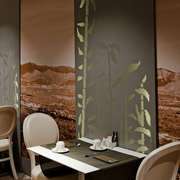 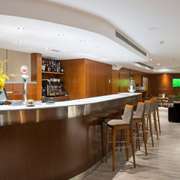 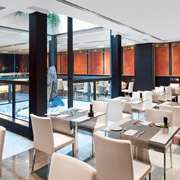 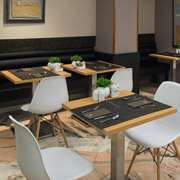 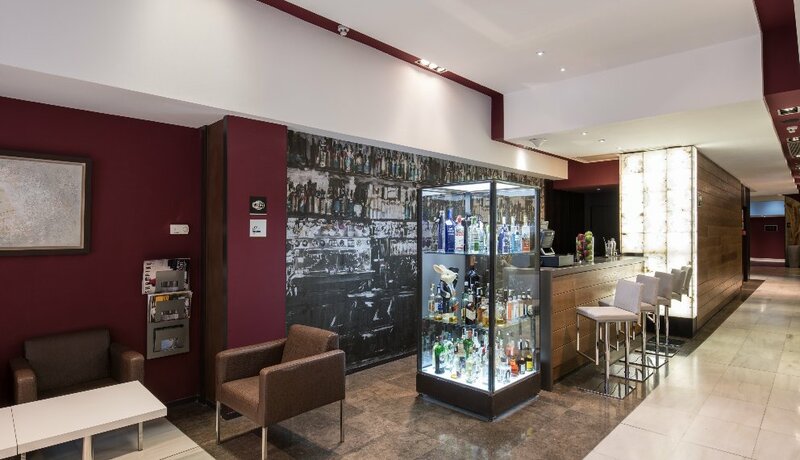 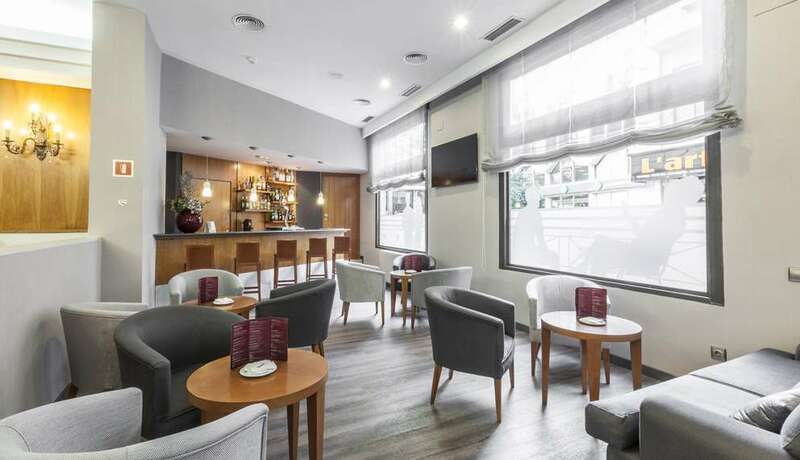 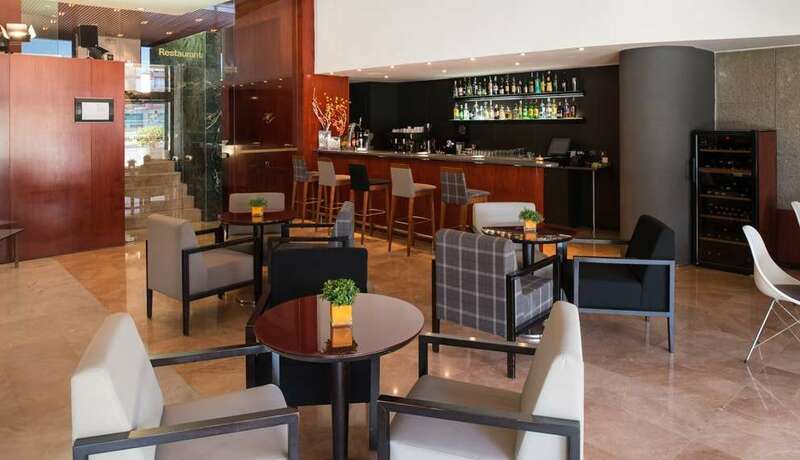 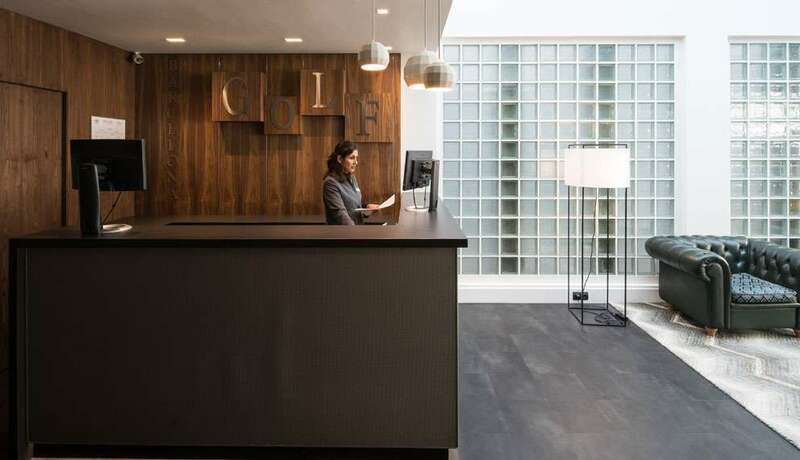 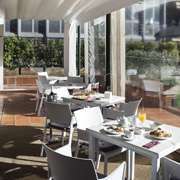 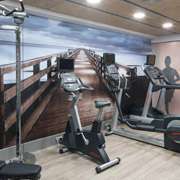 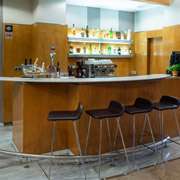 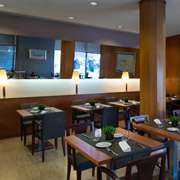 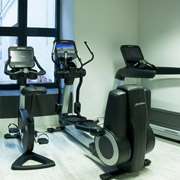 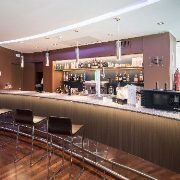 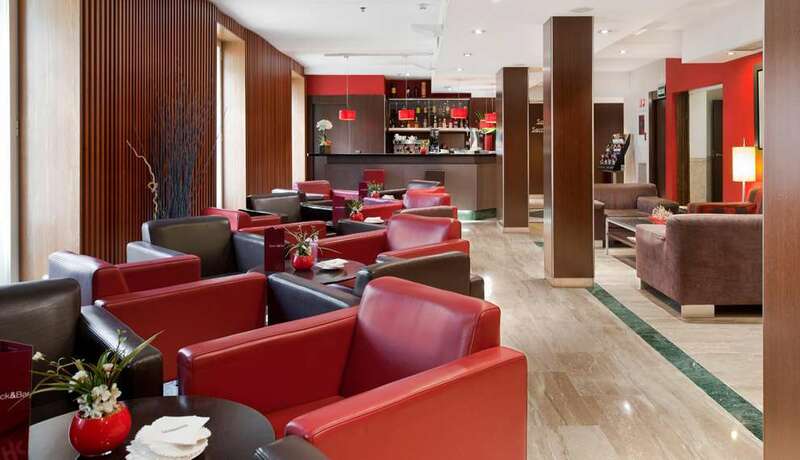 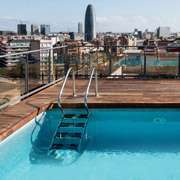 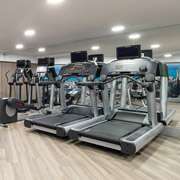 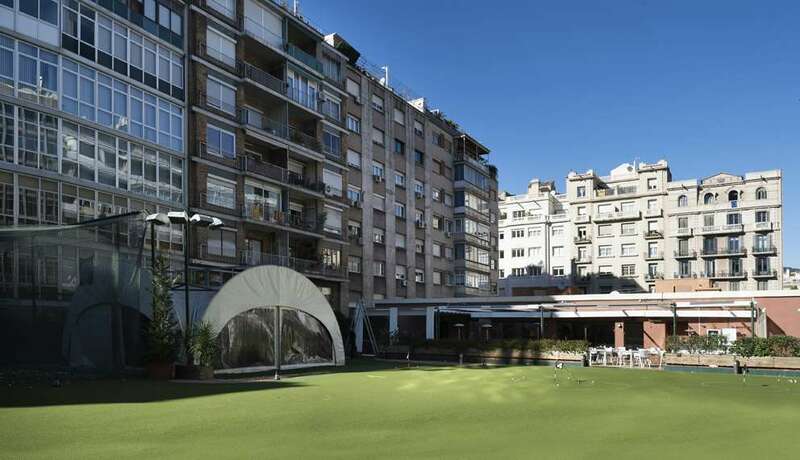 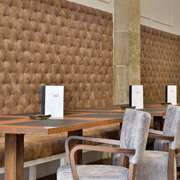 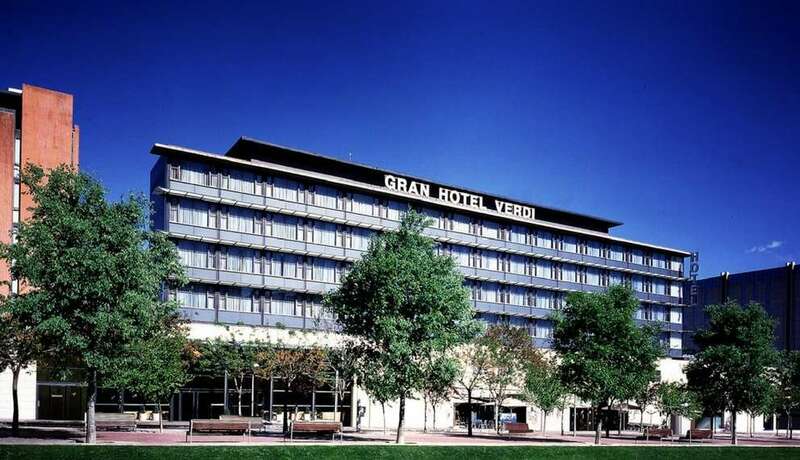 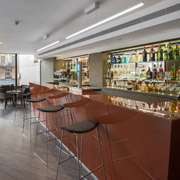 The Catalonia Gran Hotel Verdi is located in the Sabadell shopping centre, so whether you’re visiting Vallès Occidental for work or leisure, staying at the Catalonia Gran Hotel Verdi is a good choice. 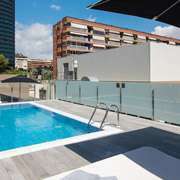 Sabadell is a Spanish city and municipality in Barcelona province 25 km from the city of Barcelona and well connected with it, just 20 minutes away. 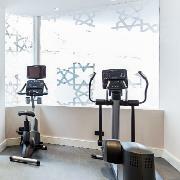 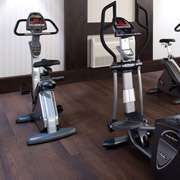 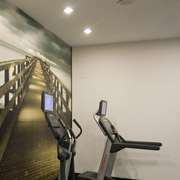 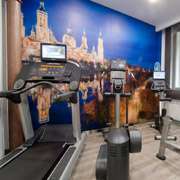 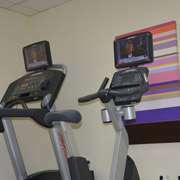 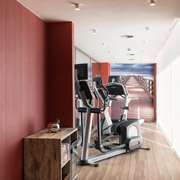 We offer our guests free wifi throughout the hotel, a gym and fully equipped rooms. 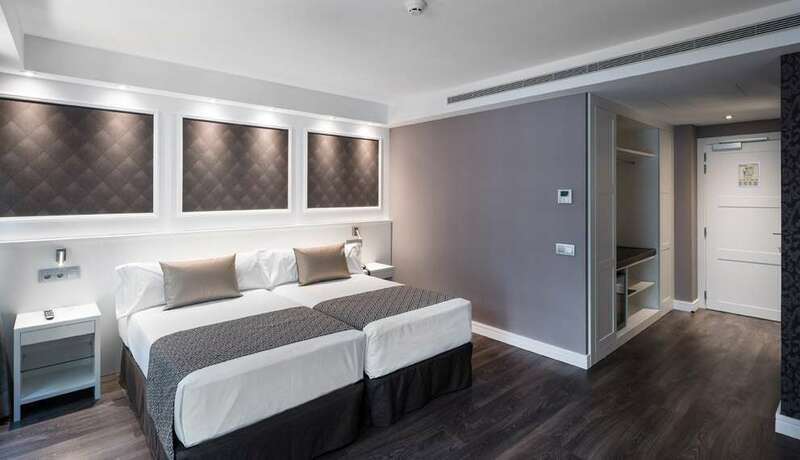 All rooms have a satellite TV, electronic safe and a minibar. 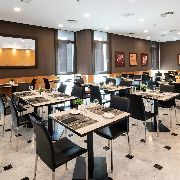 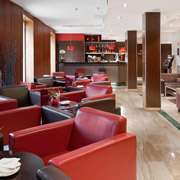 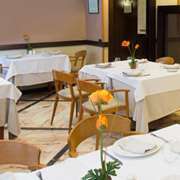 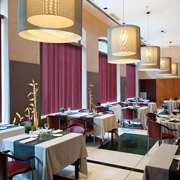 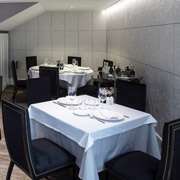 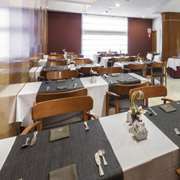 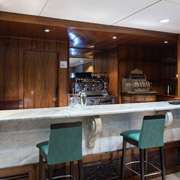 The restaurant and bar at the Gran Hotel Catalonia Verdi features a varied breakfast buffet and traditional Mediterranean and international dishes for lunch and dinner. 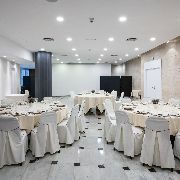 If you prefer to meet up with people to do business, we have rooms for conferences and other events and a restaurant with private rooms. 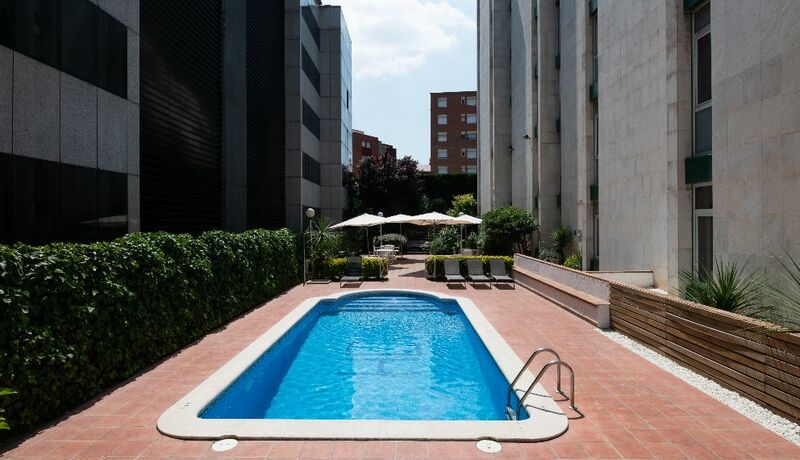 To discover Sabadell we offer a variety of ideas such as a visit to Torre del Agua, a modernist water tank considered one of the most emblematic buildings in the city. 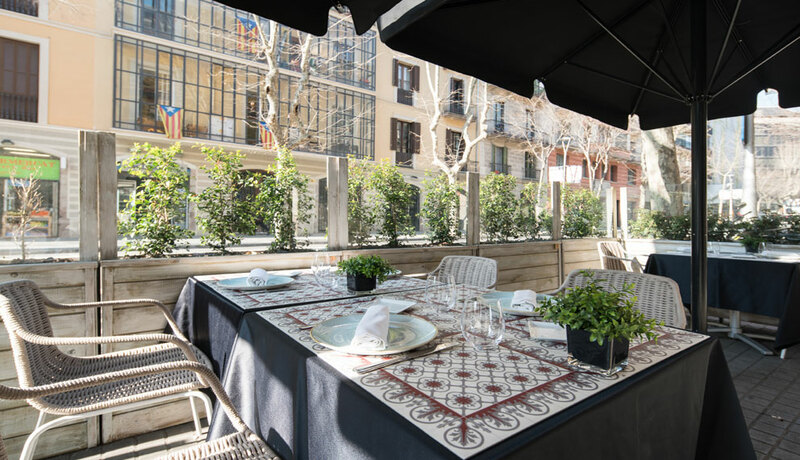 If you prefer walking, you can pop along to Parc de Catalunya or Mercat Central, where you can enjoy the tapas bars. 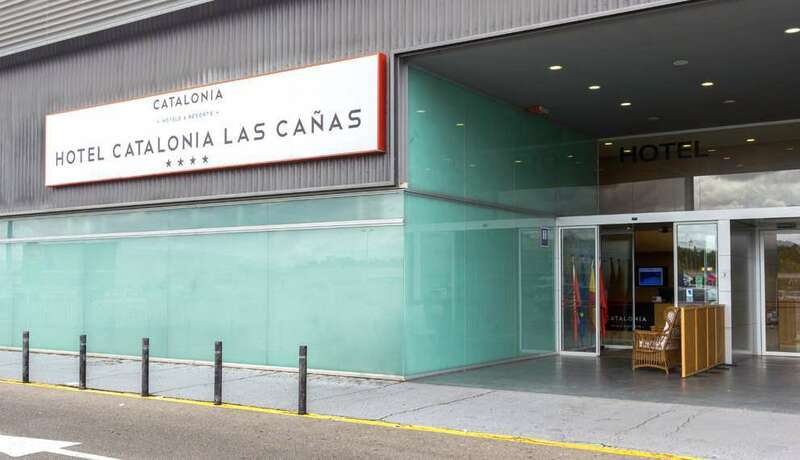 Close by, in addition to a variety of tourist sights, you’ll find the Fira Sabadell trade fair and congress venue, located in an old industrial building from the 1940s. 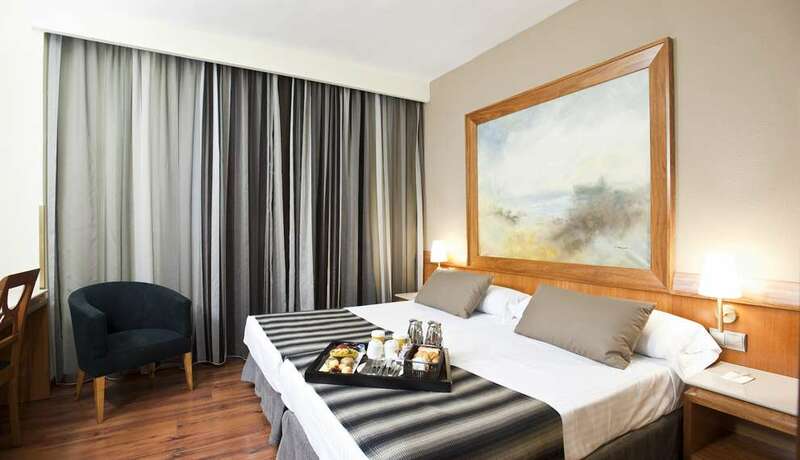 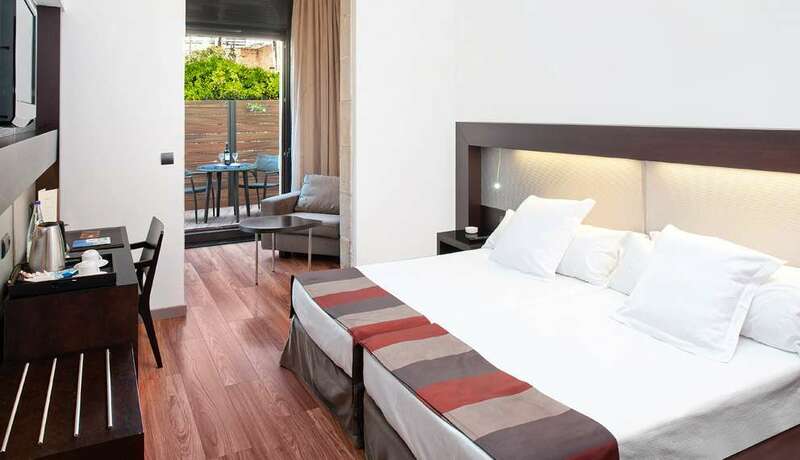 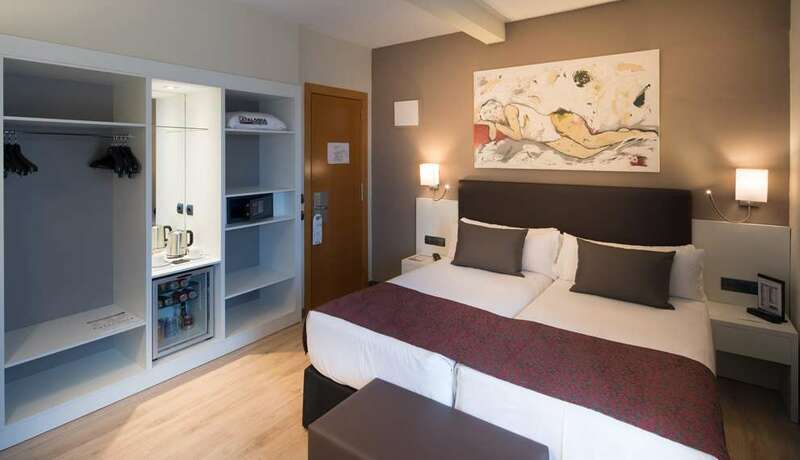 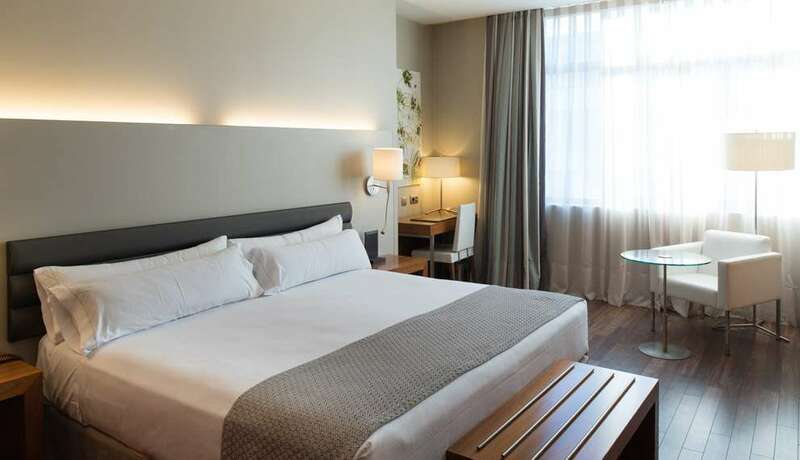 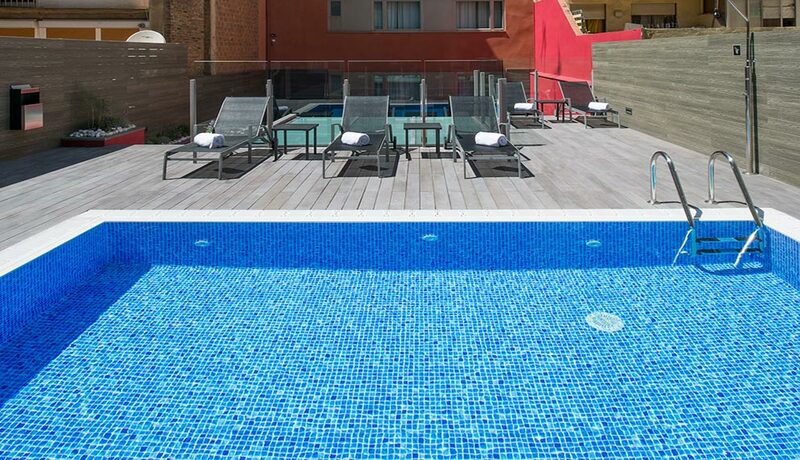 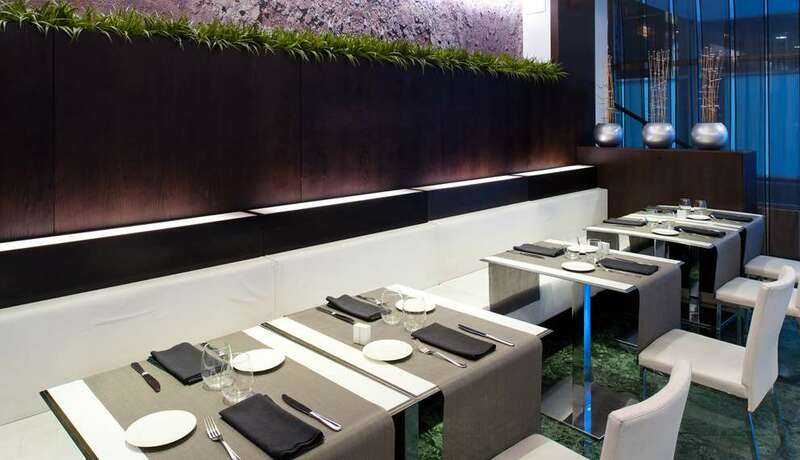 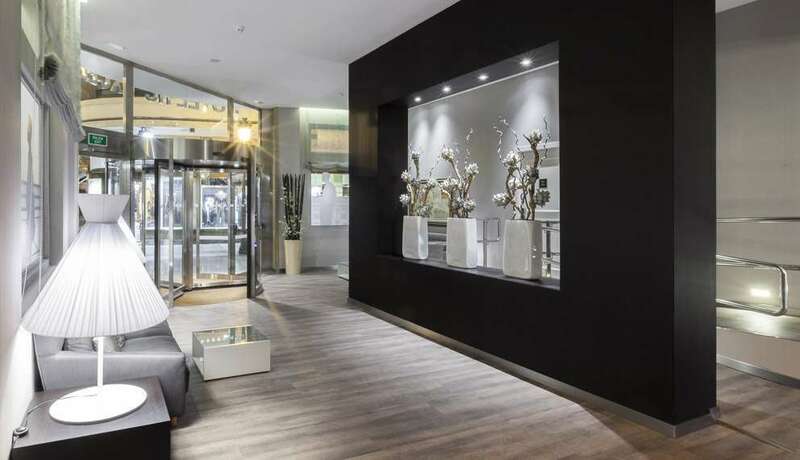 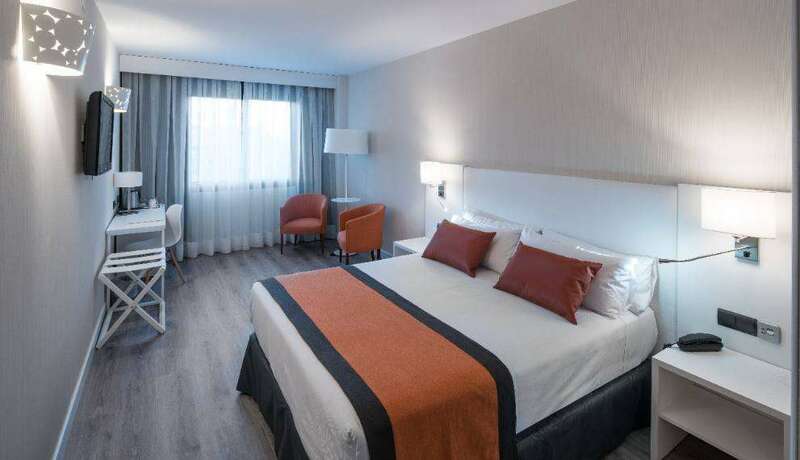 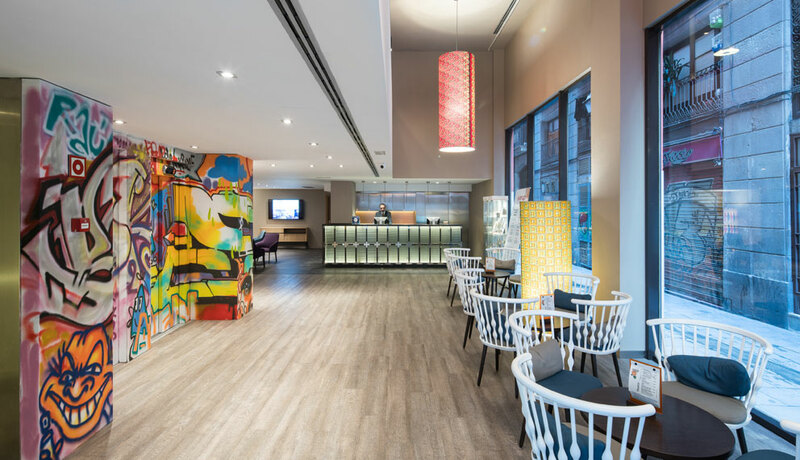 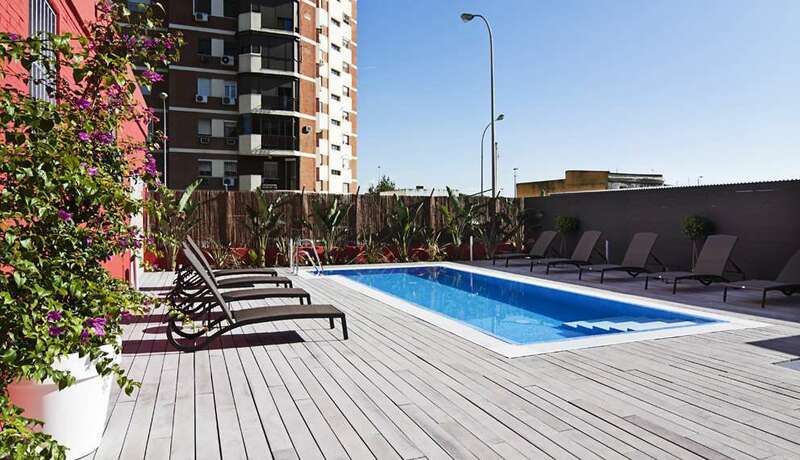 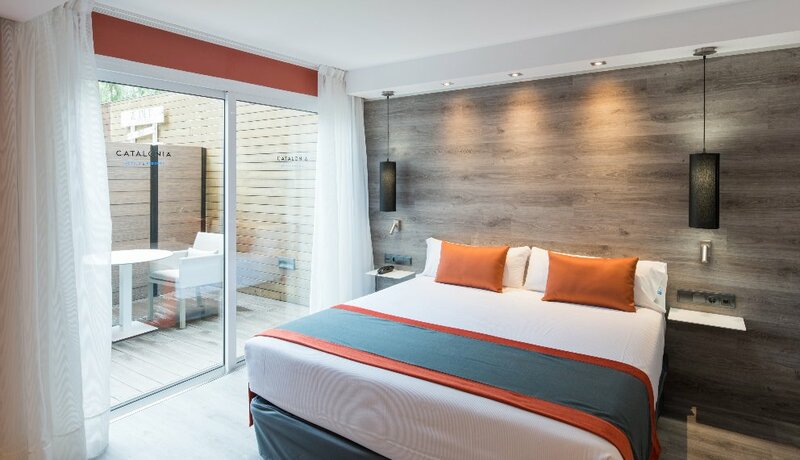 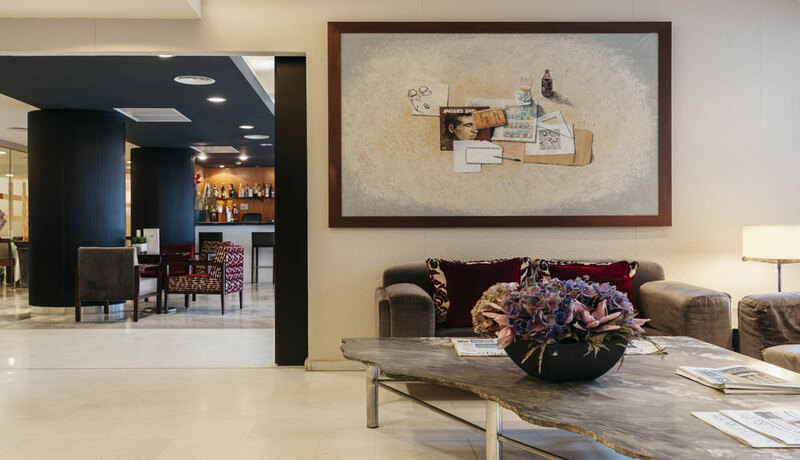 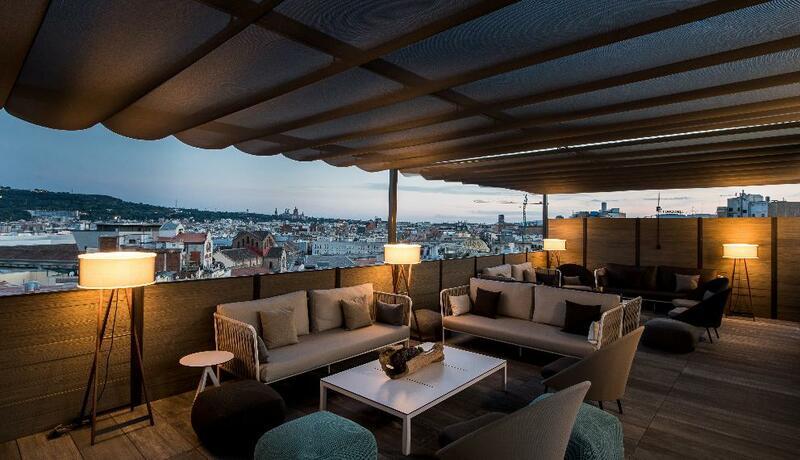 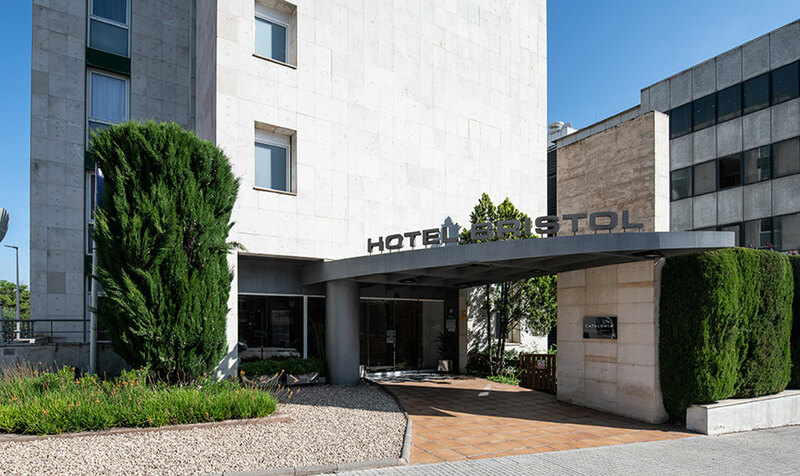 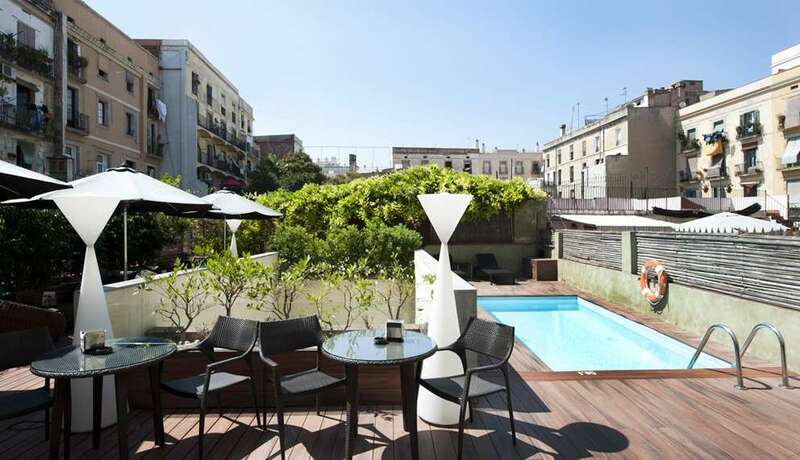 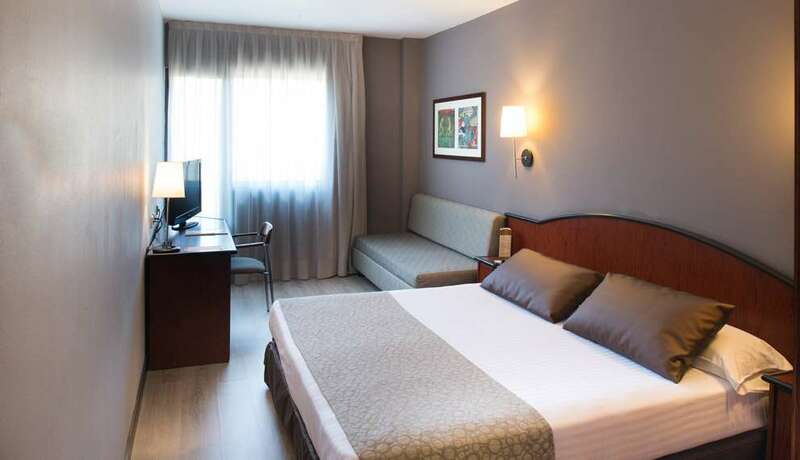 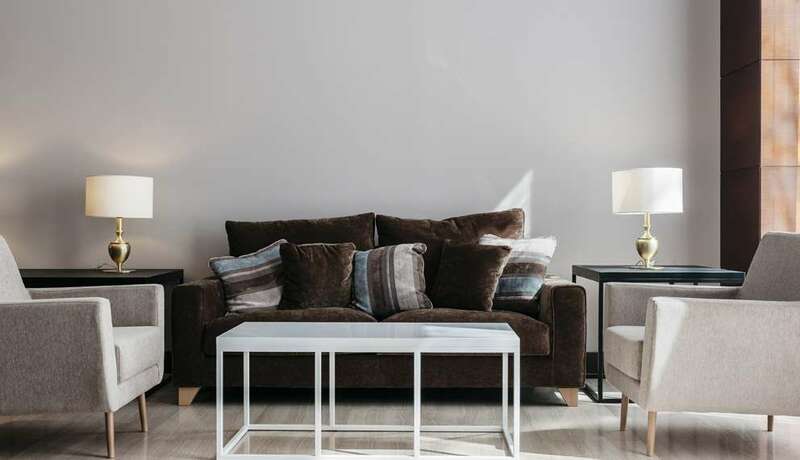 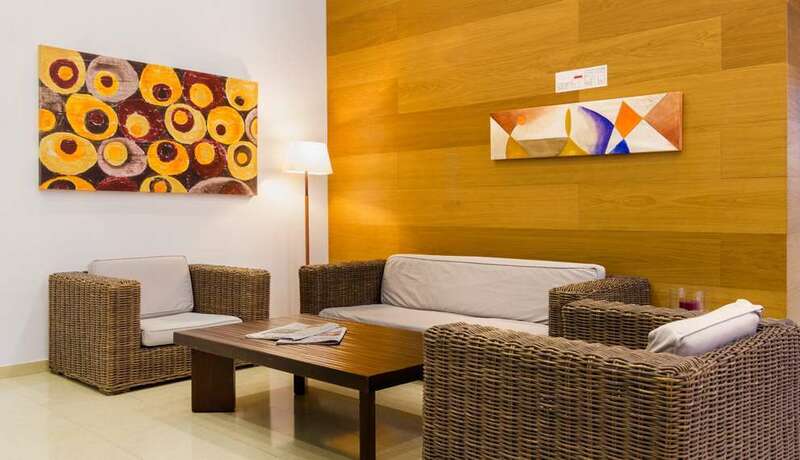 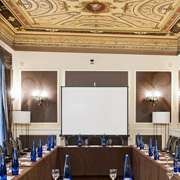 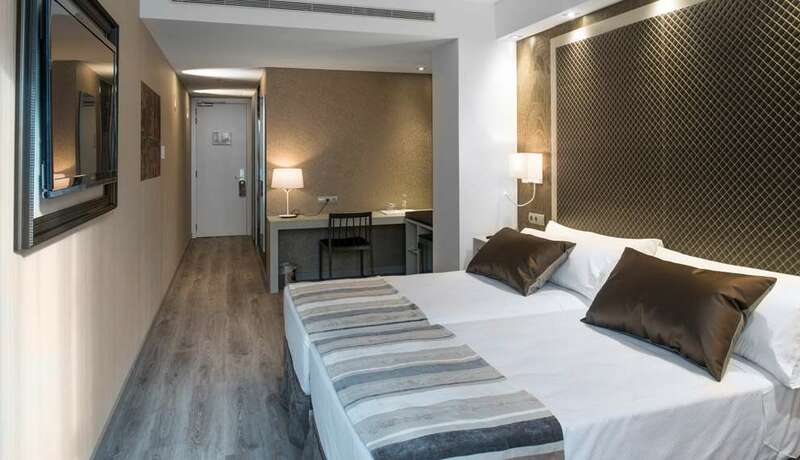 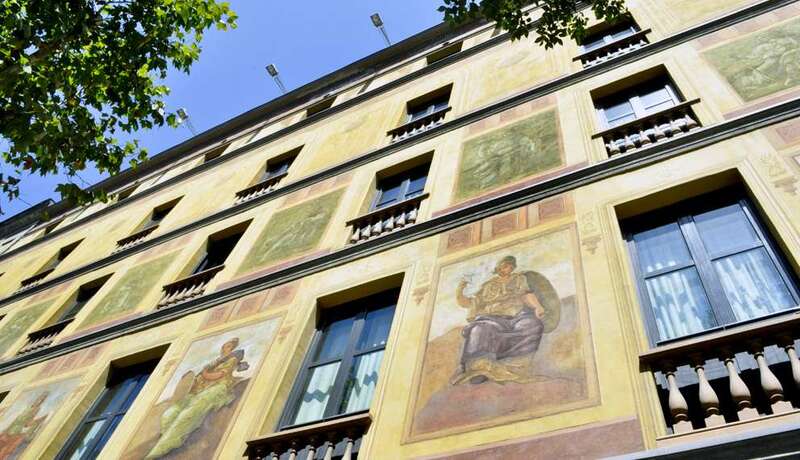 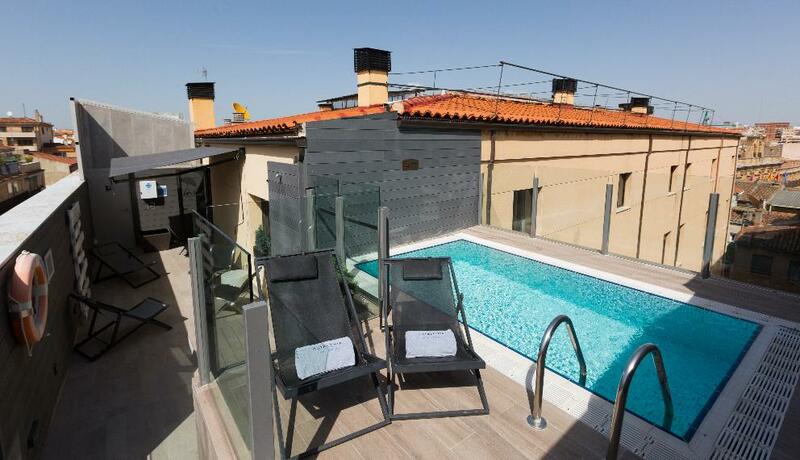 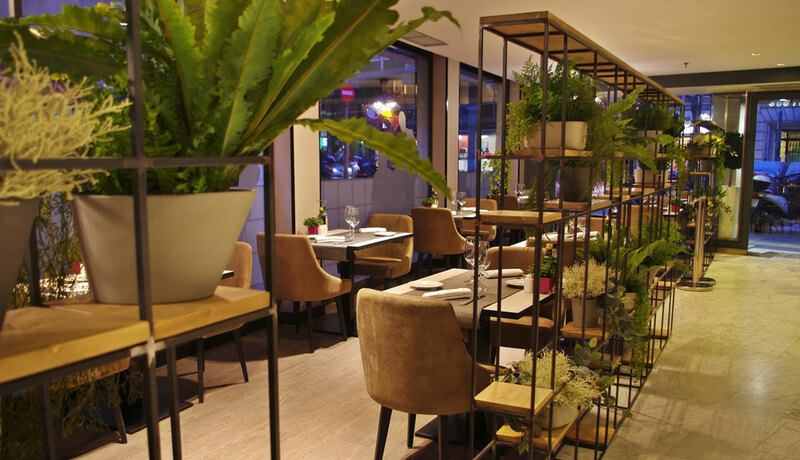 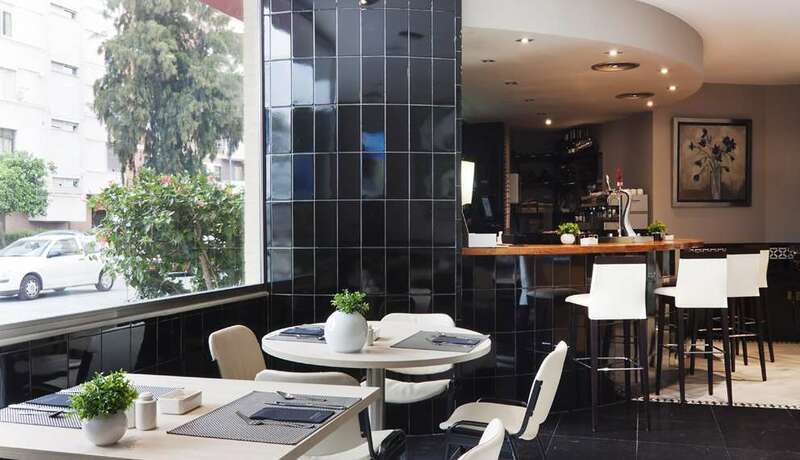 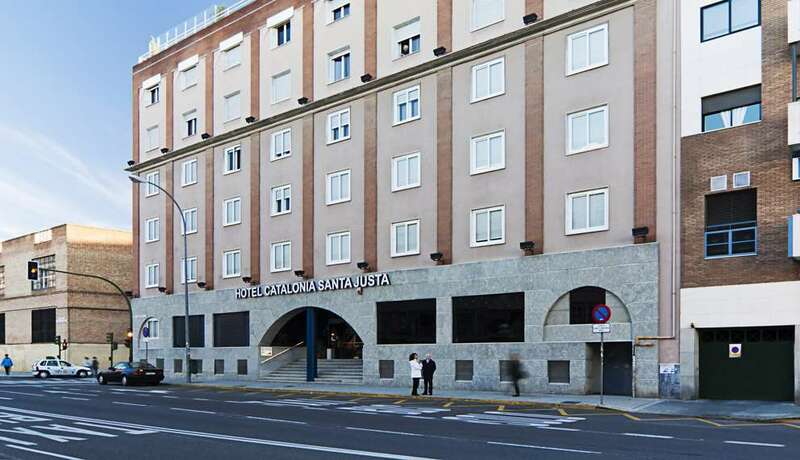 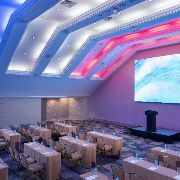 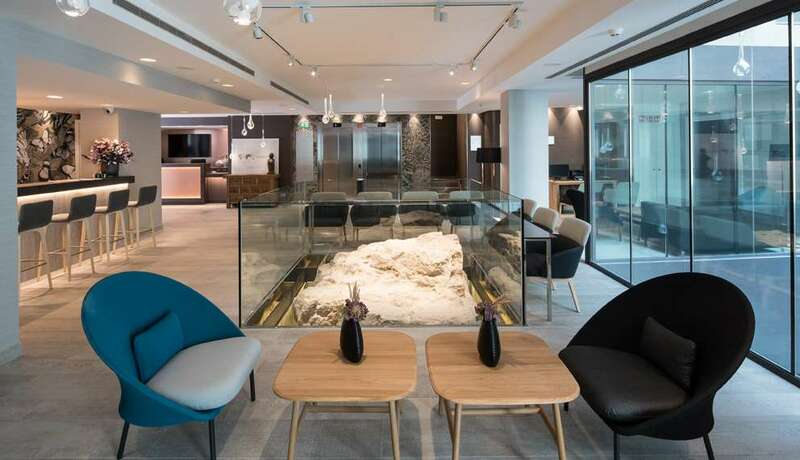 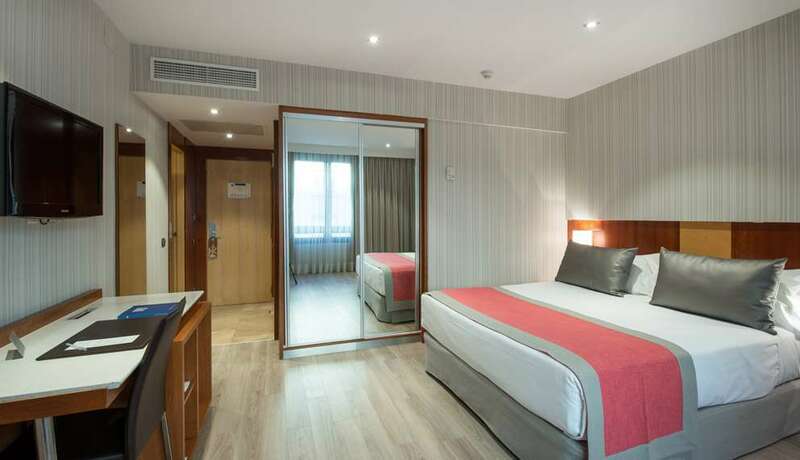 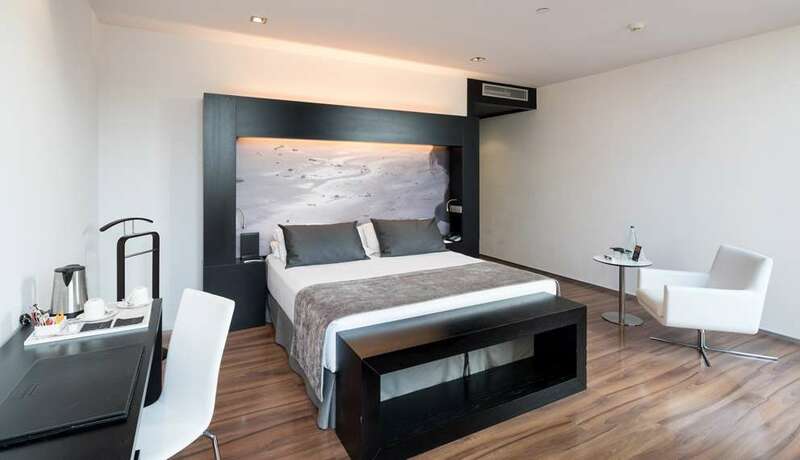 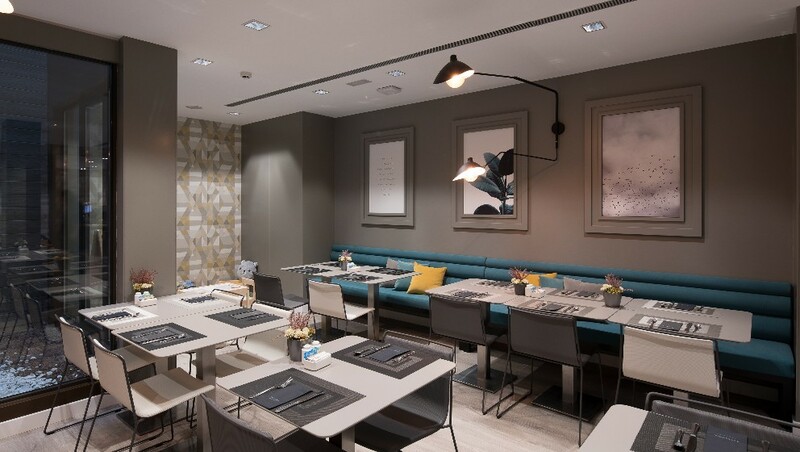 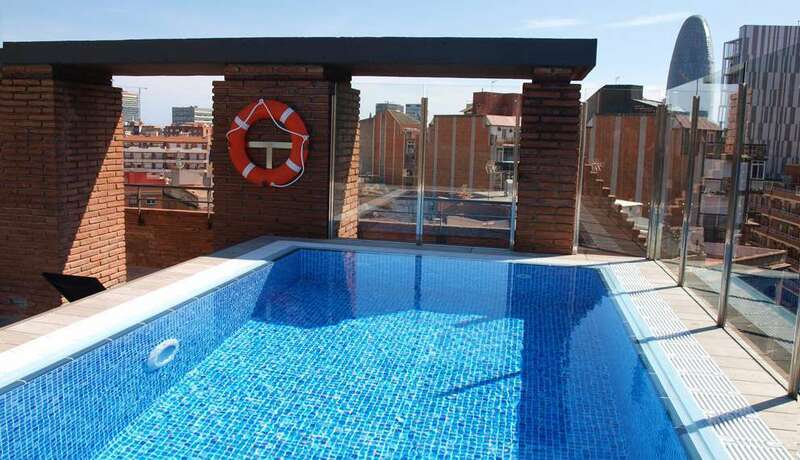 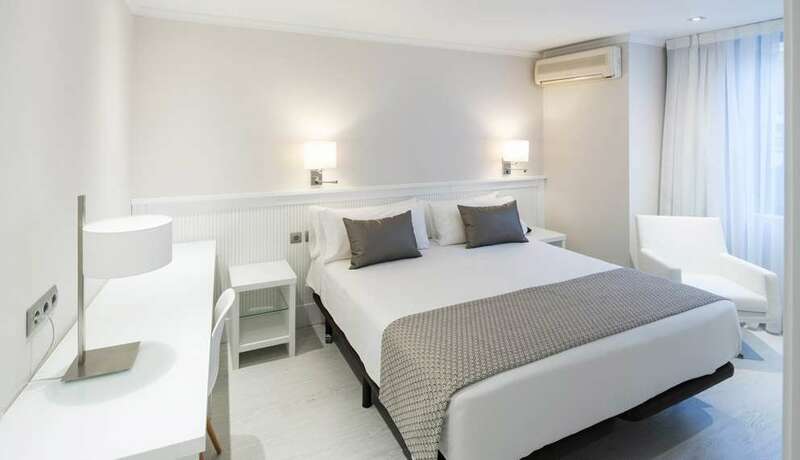 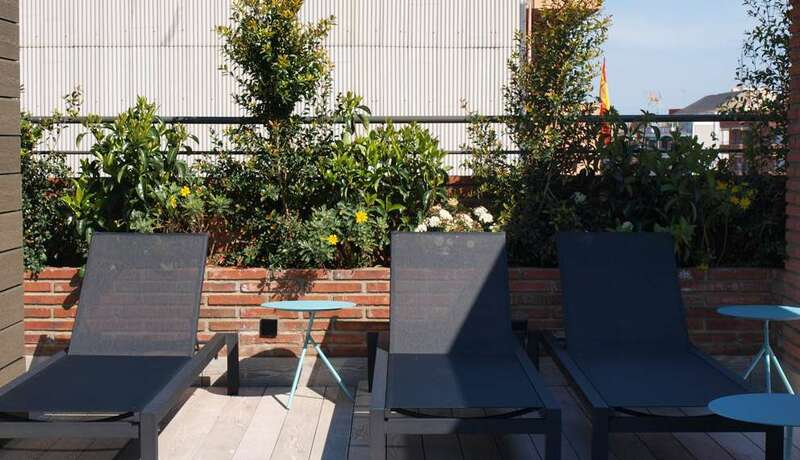 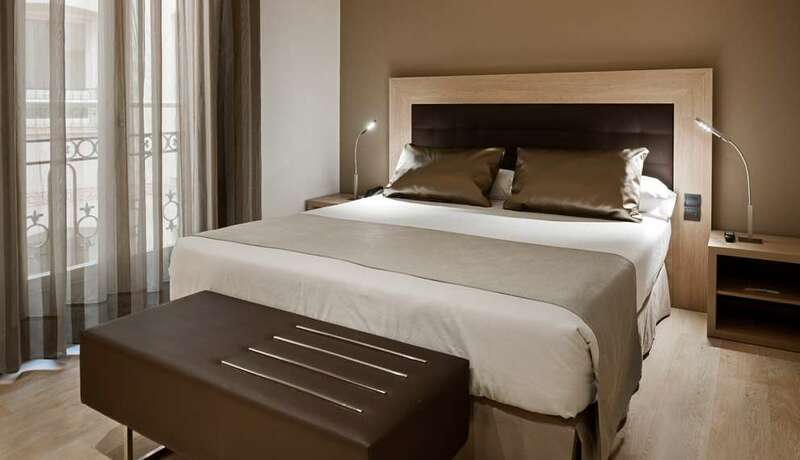 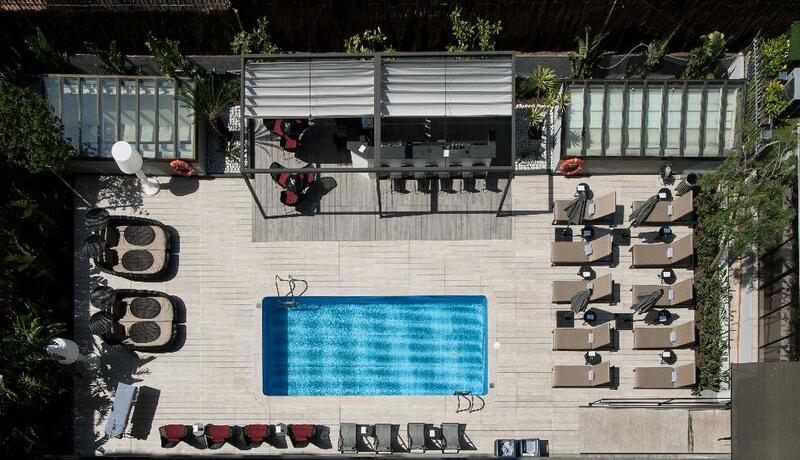 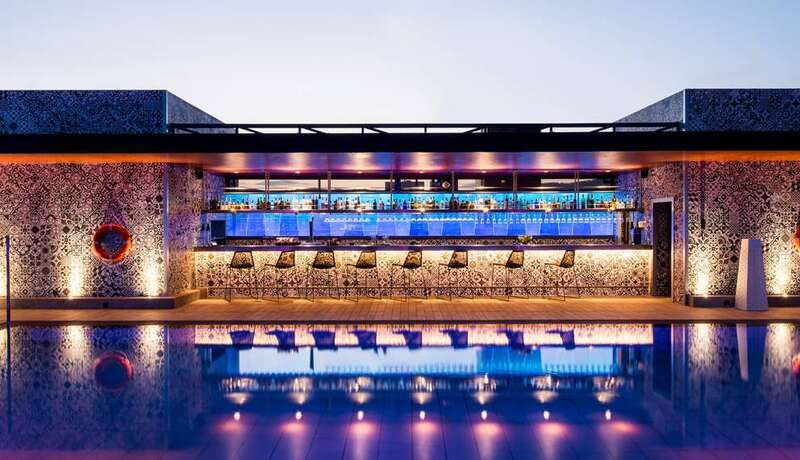 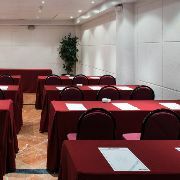 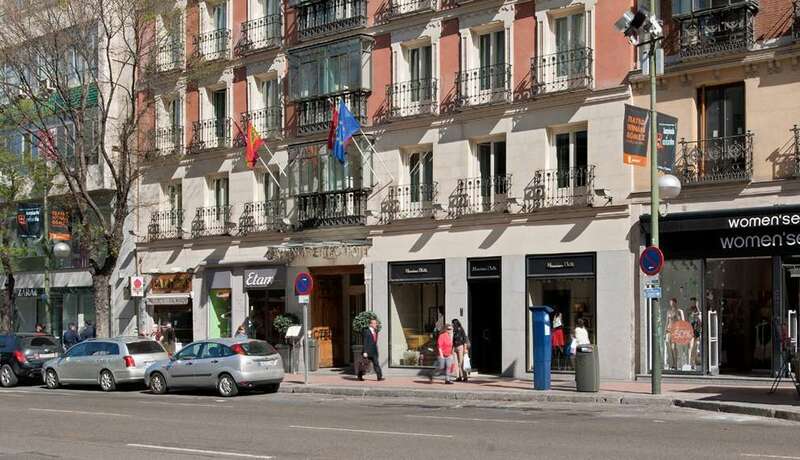 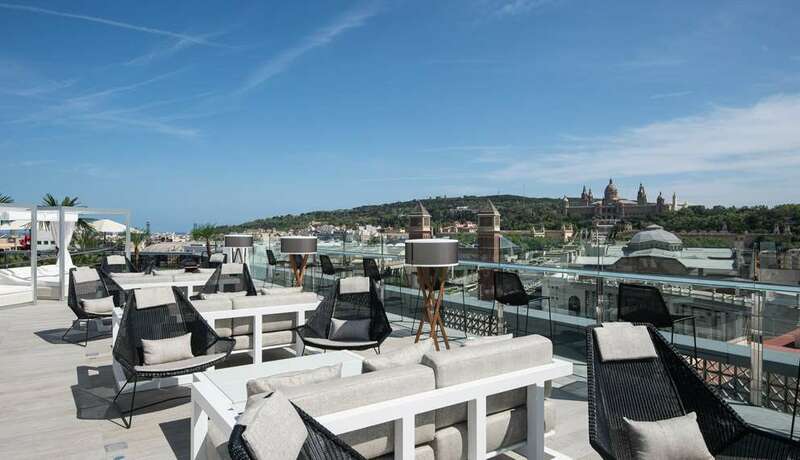 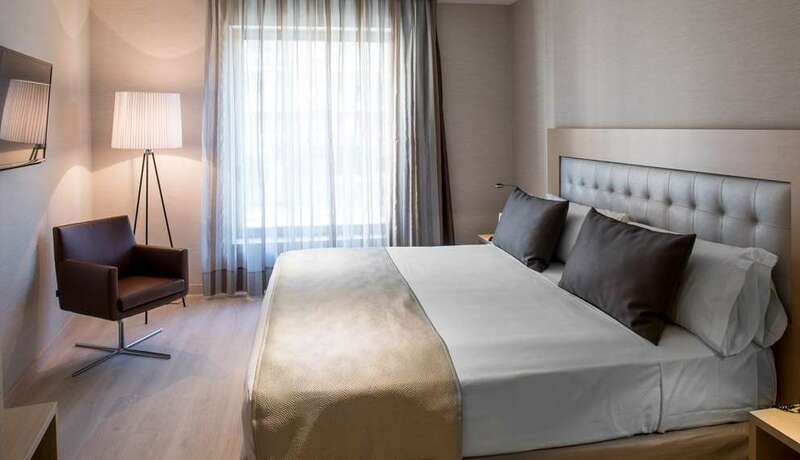 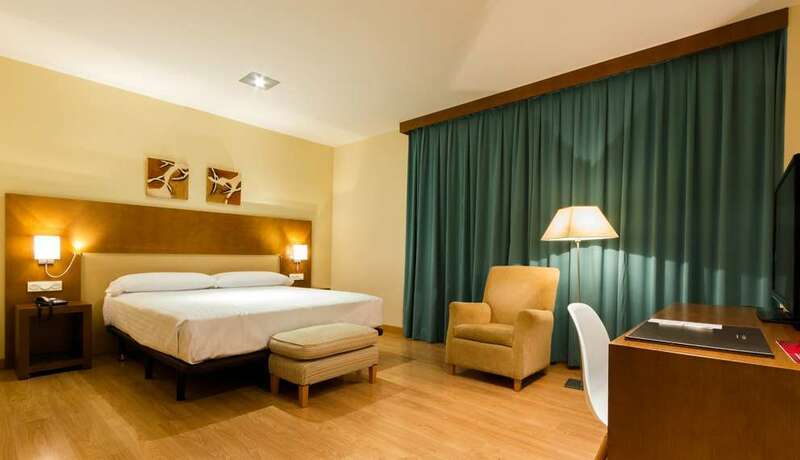 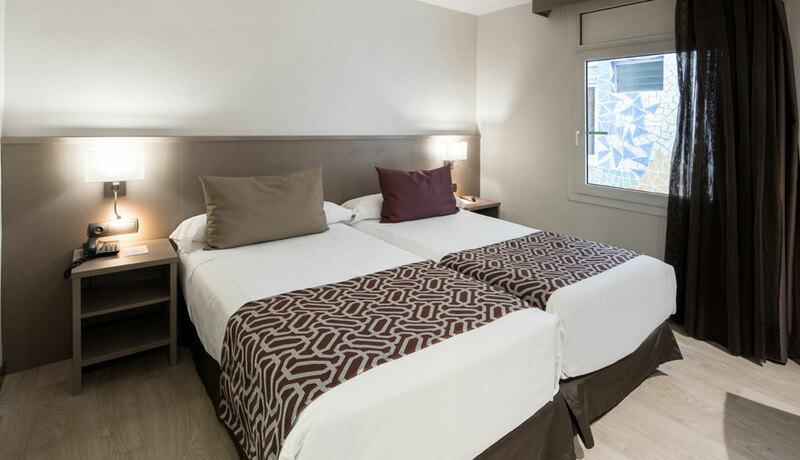 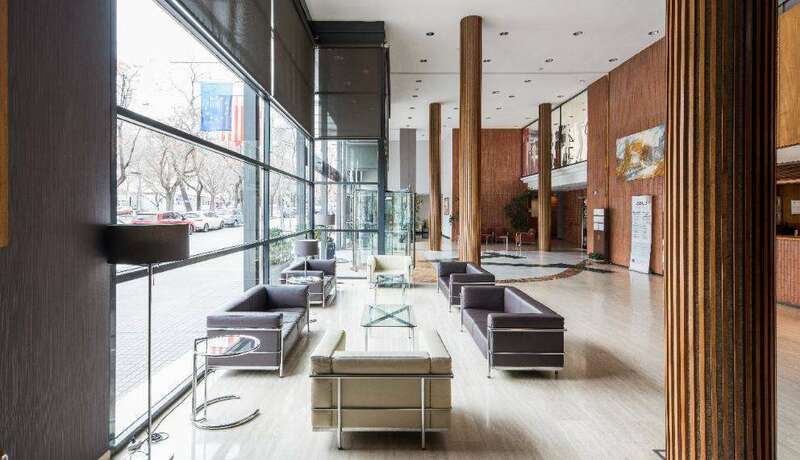 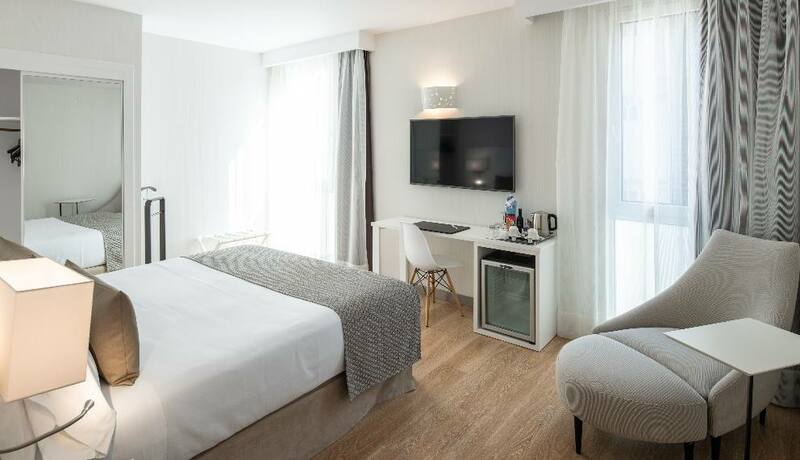 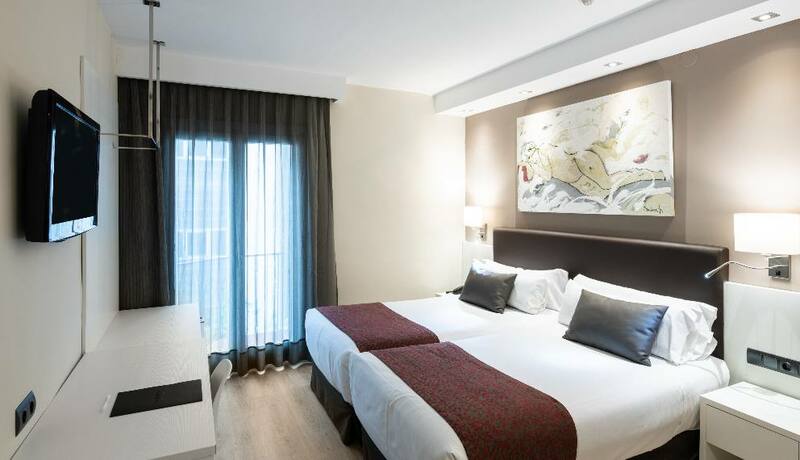 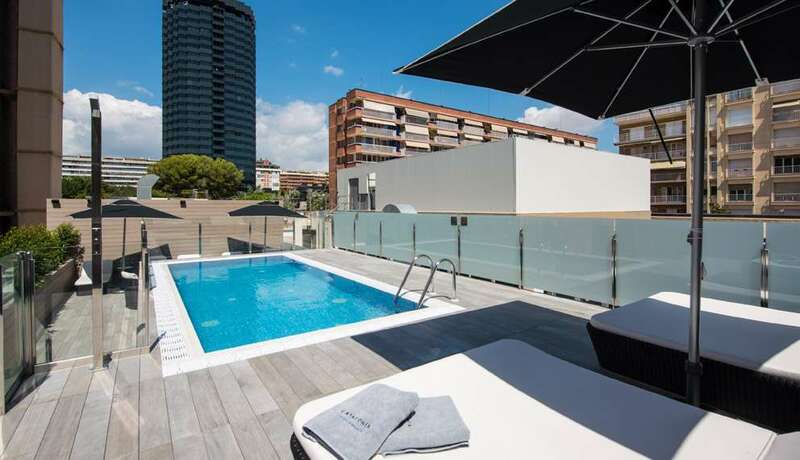 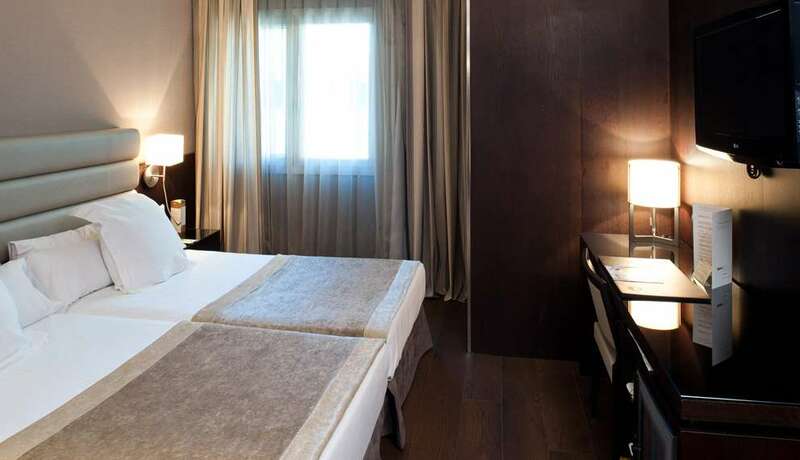 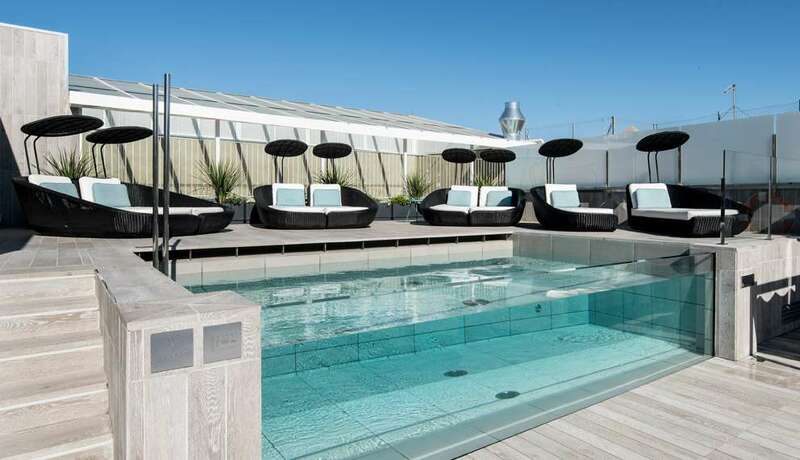 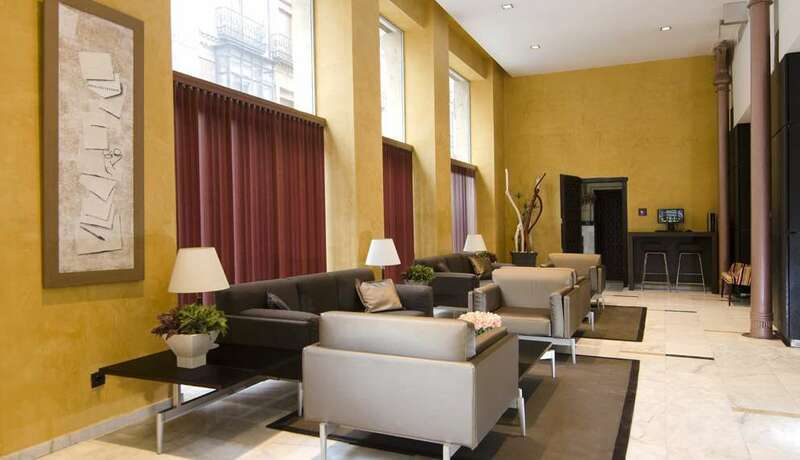 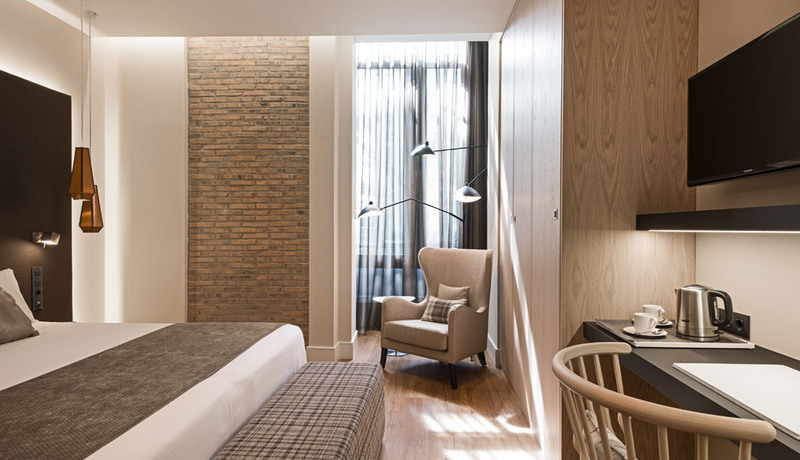 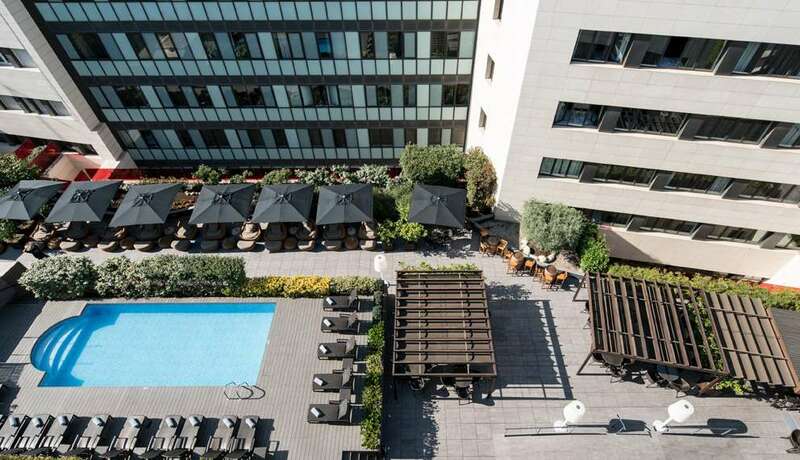 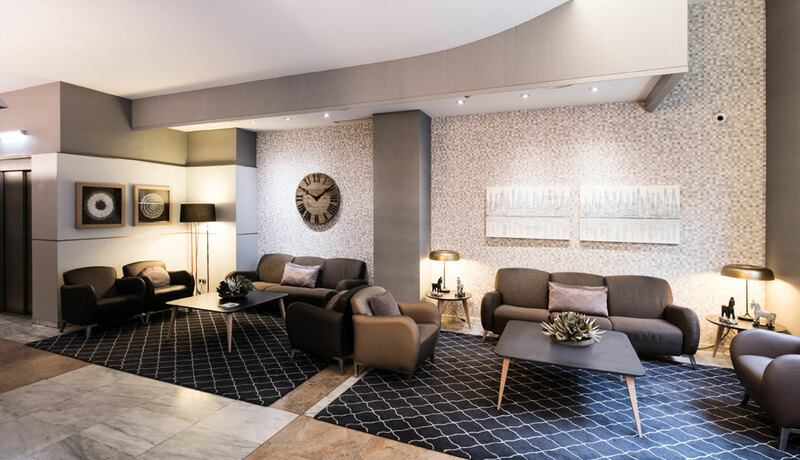 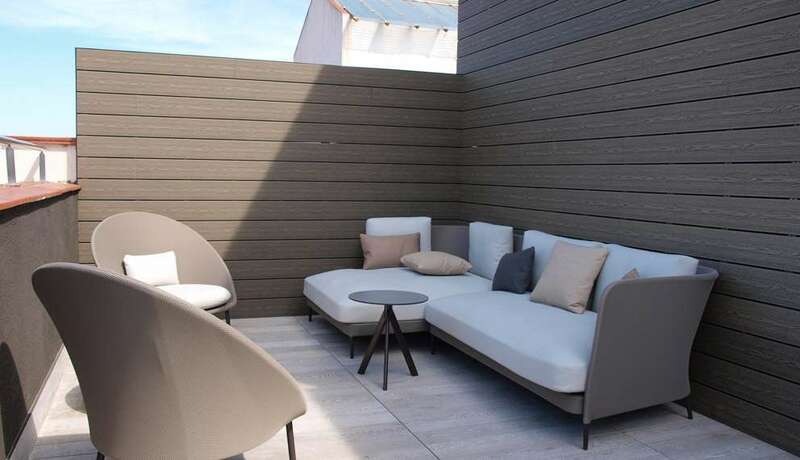 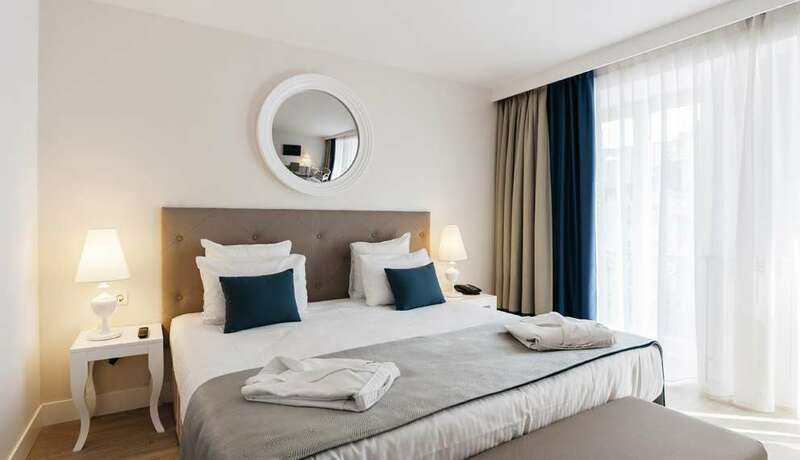 Set in an ideal location on Plaça de Catalunya in Sabadell, the capital of Vallès Occidental, the four-star Catalonia Sabadell is in the premier shopping and business district and close to the conference centre. 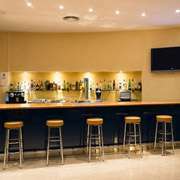 Perfectly communicated with the highway network just 20 minutes from Barcelona and five minutes from the Vallès industrial zone. 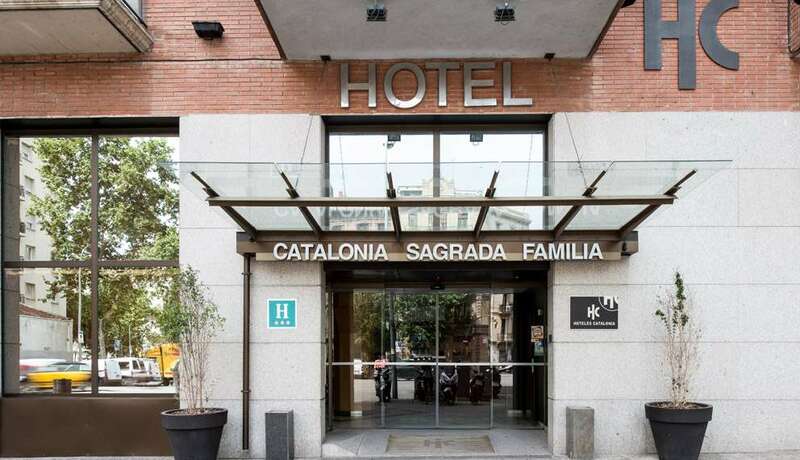 All the rooms at the Catalonia Sabadell are soundproof. 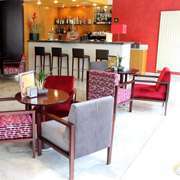 They have aircon and heating, a minibar, a safe, phone, satellite TV and free wifi in-room and throughout the hotel. 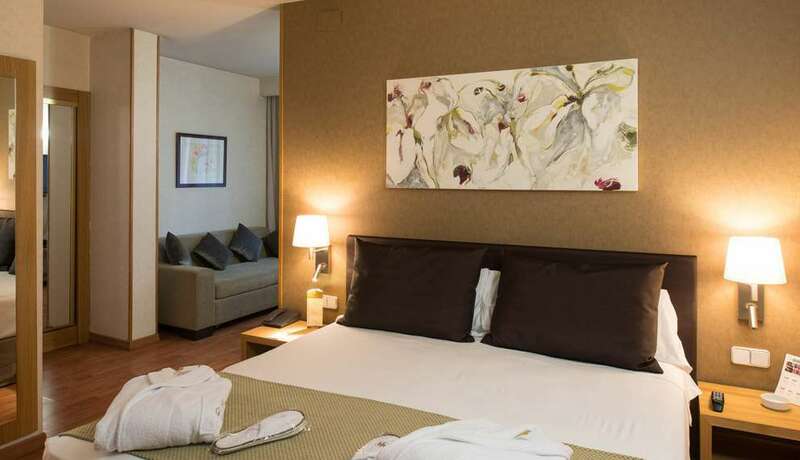 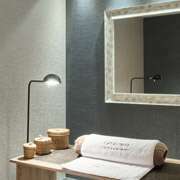 The rooms also have comfy beds, a bathroom with a shower or bathtub and a hair dryer. 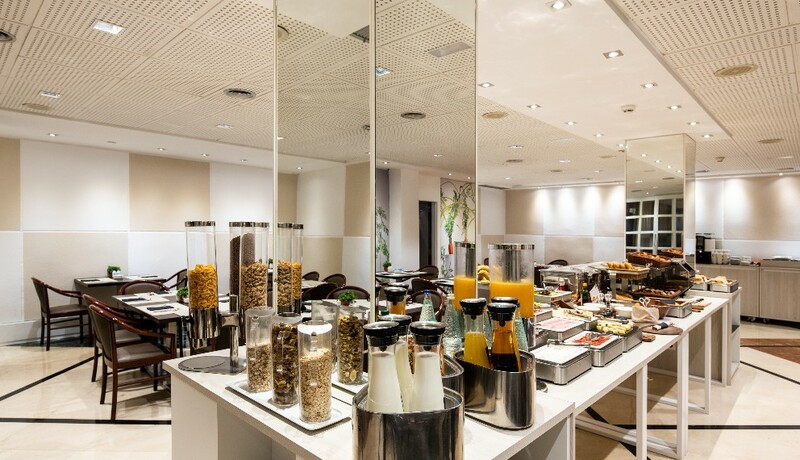 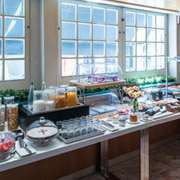 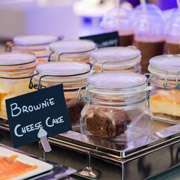 Enjoy the delicious buffet breakfast we prepare to set yourself up well for a good day. 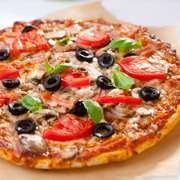 It boasts a variety of fruit, cold meat, fresh-baked goods and lots more! 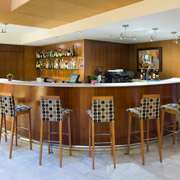 After a day of doing business or seeing the sights we invite you to relax in the hotel bar with a variety of dishes to choose from. 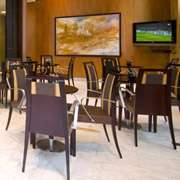 And if you're a sports fan you can watch the best events on the TV. 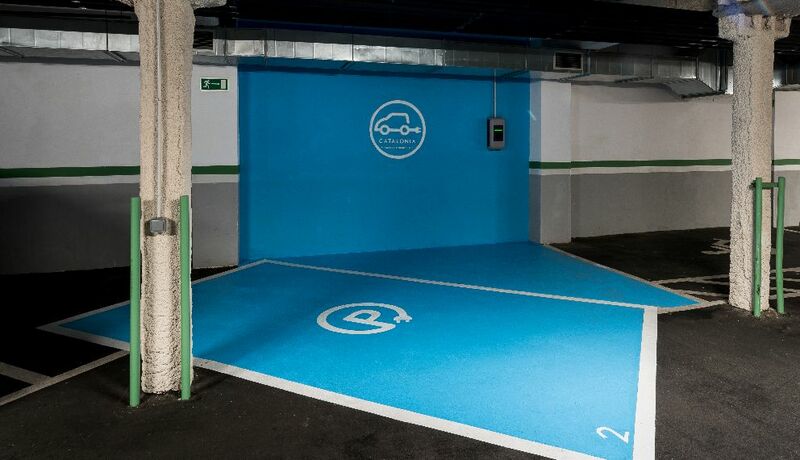 The Catalonia Sabadell has a car park but it’s also easy to park in the nearby streets. 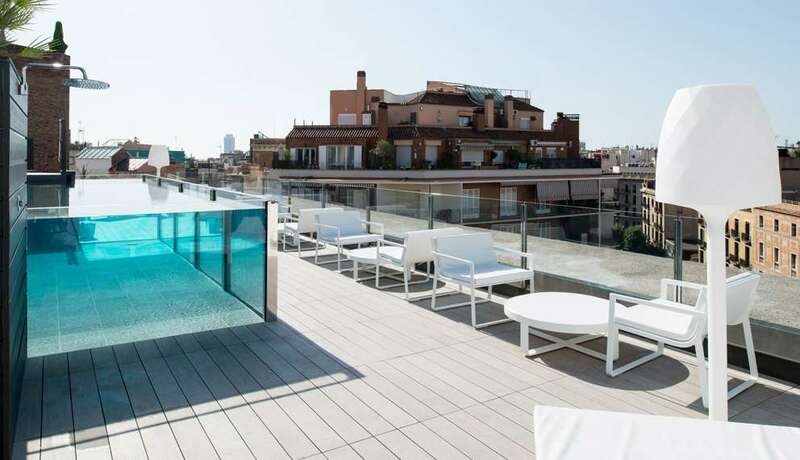 If you have a bit more time, we recommend you check out the Torre del Agua, a modernist water tank considered to be very emblematic, or stroll through Parc de Catalunya which lies beside the hotel. 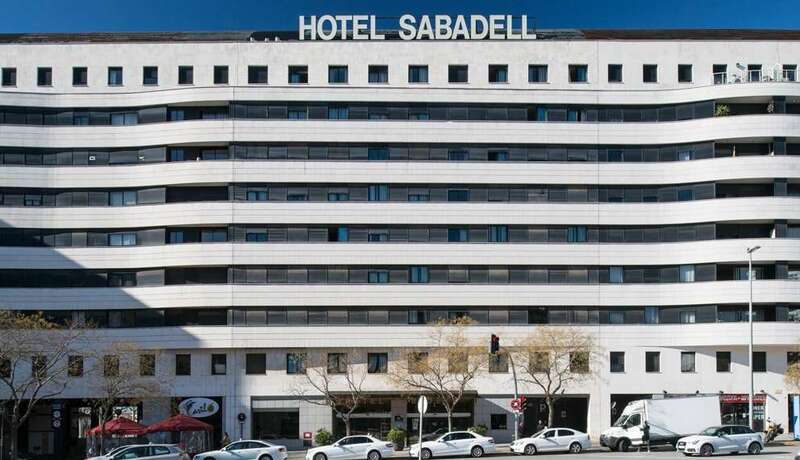 Come to Sabadell and discover the city with us! 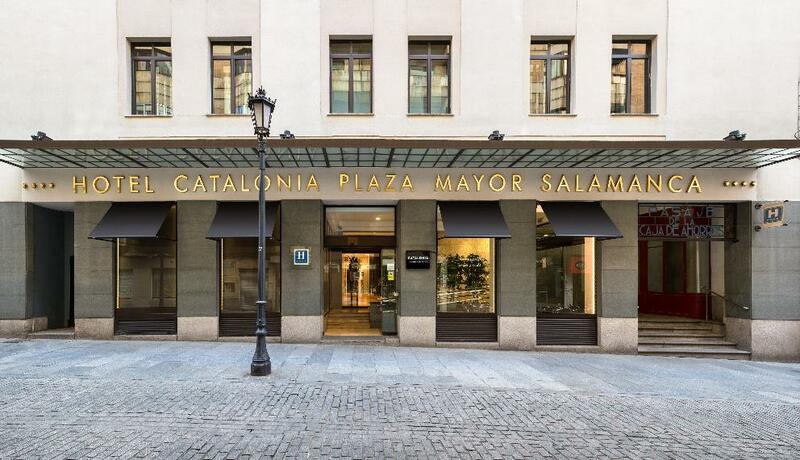 Formerly Catalonia Zaragoza Plaza. 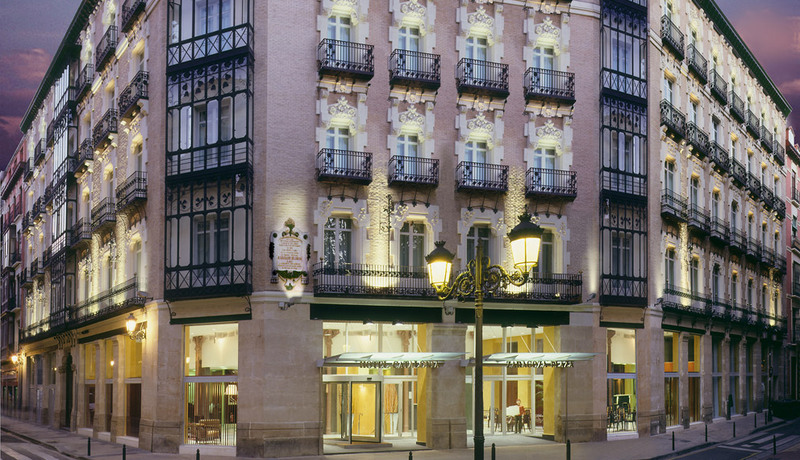 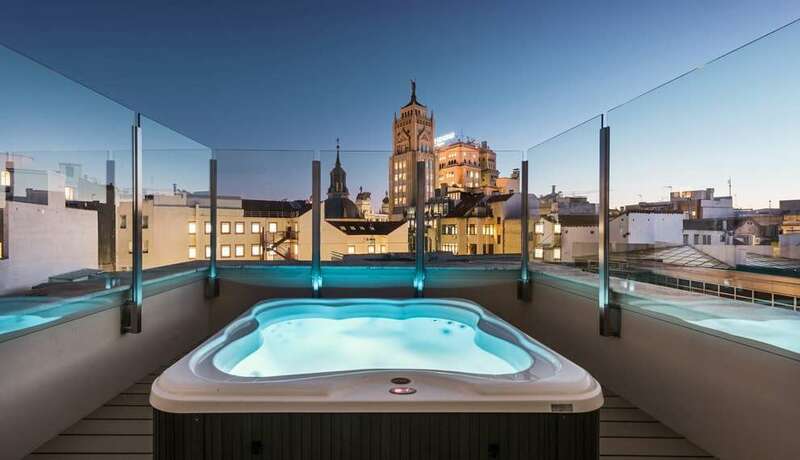 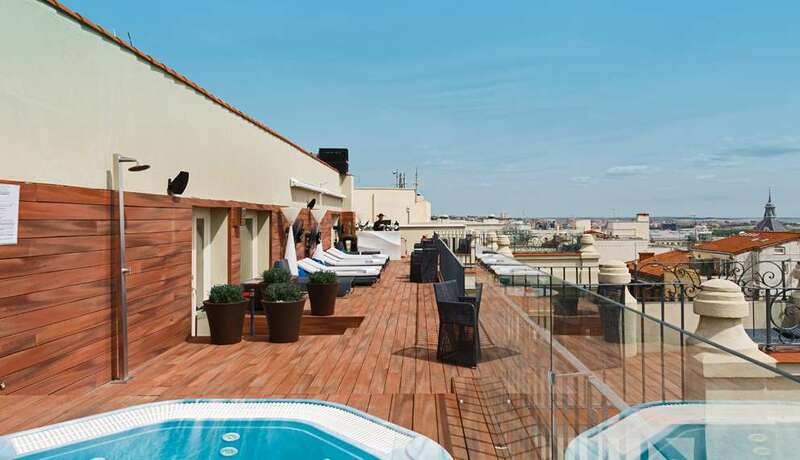 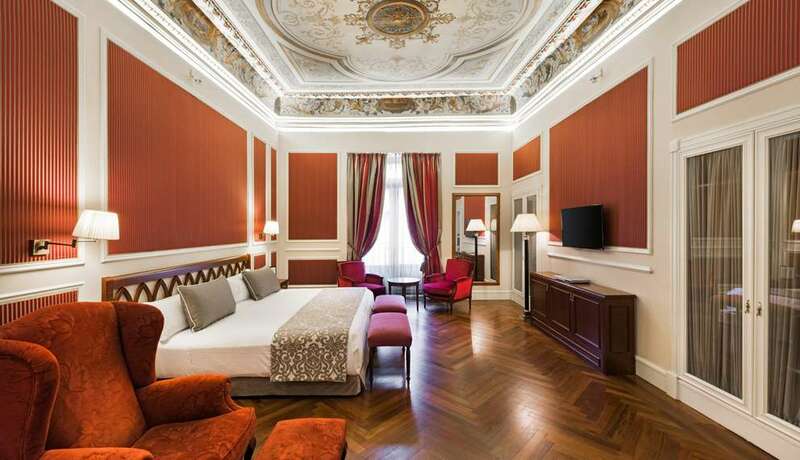 This magnificent hotel is situated in the historic centre of Zaragoza, a few metres from the Basilica of El Pilar. 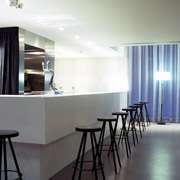 It is situated in a modernist building from the beginning of the 20th century. 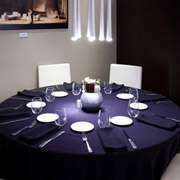 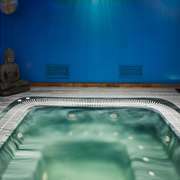 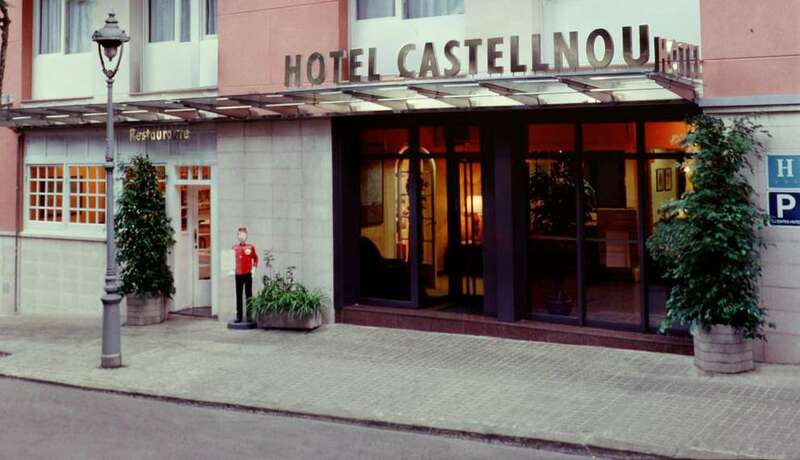 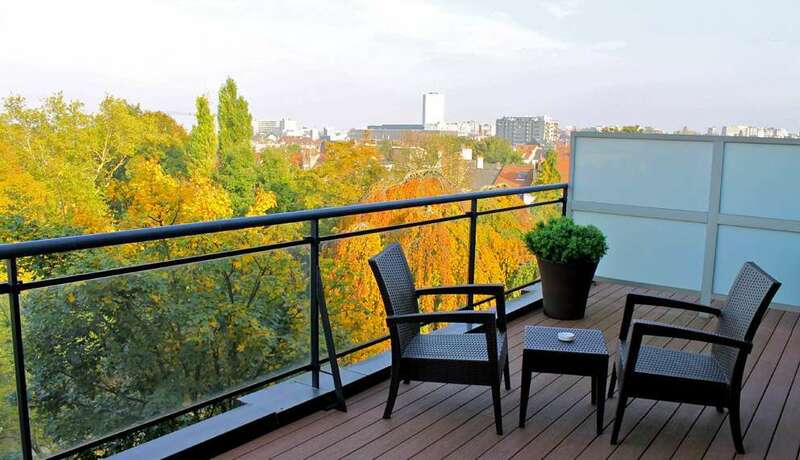 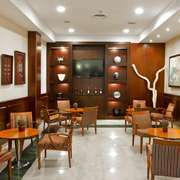 Besides offering guests a very pleasant stay, the hotel is considered as a tourist attraction in the city. 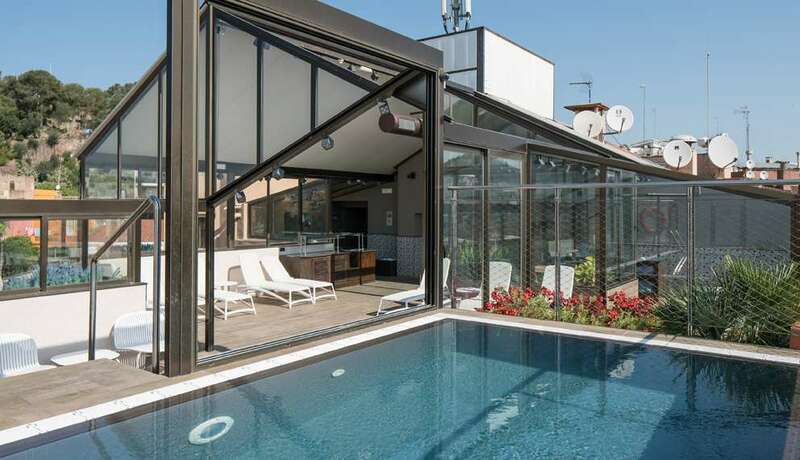 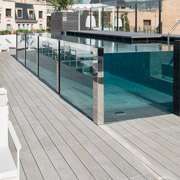 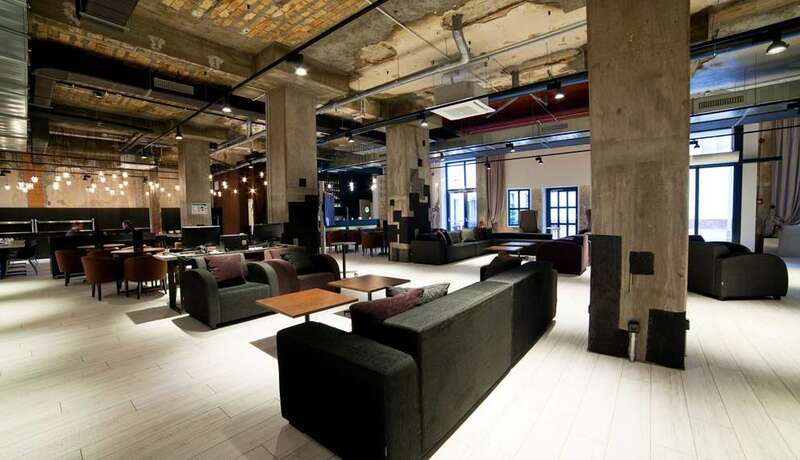 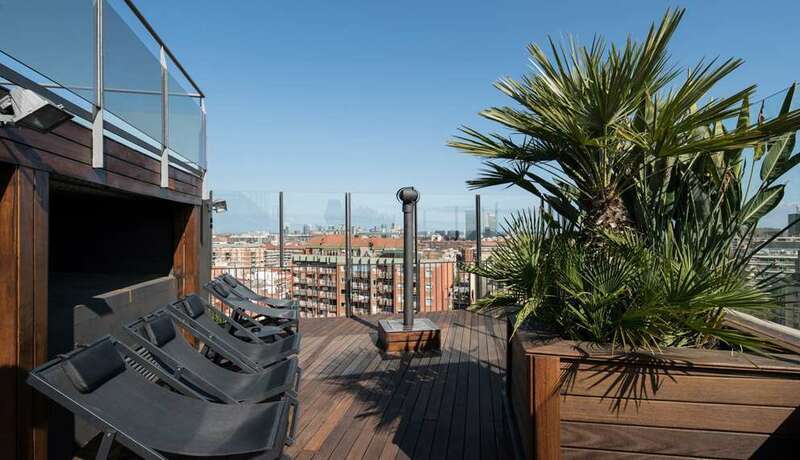 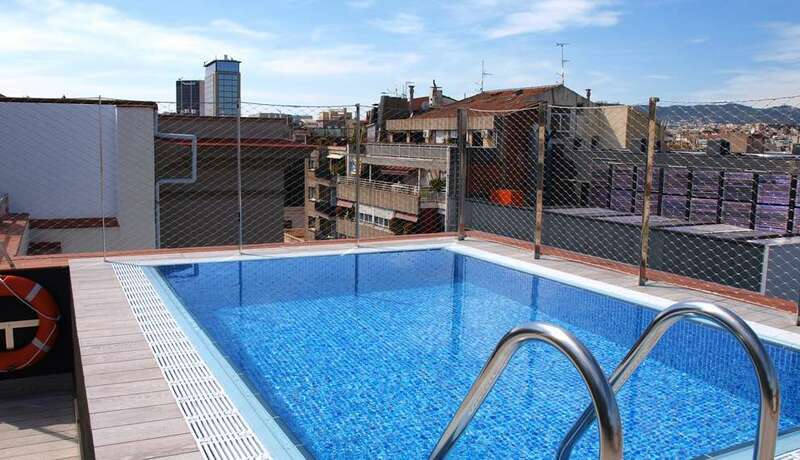 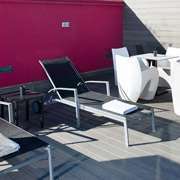 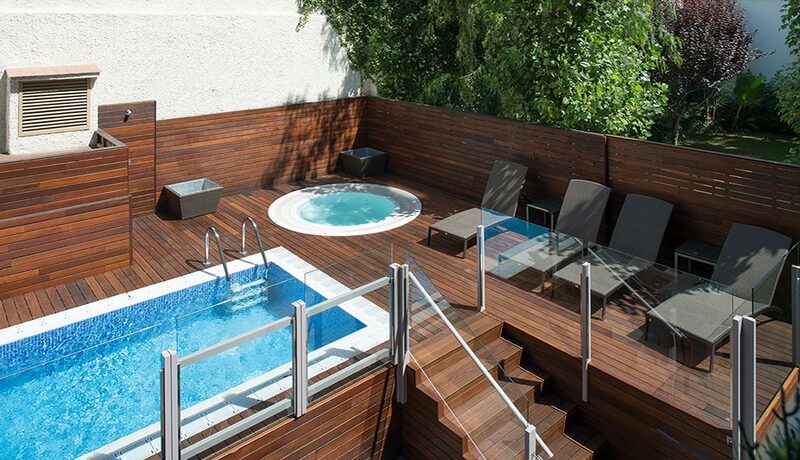 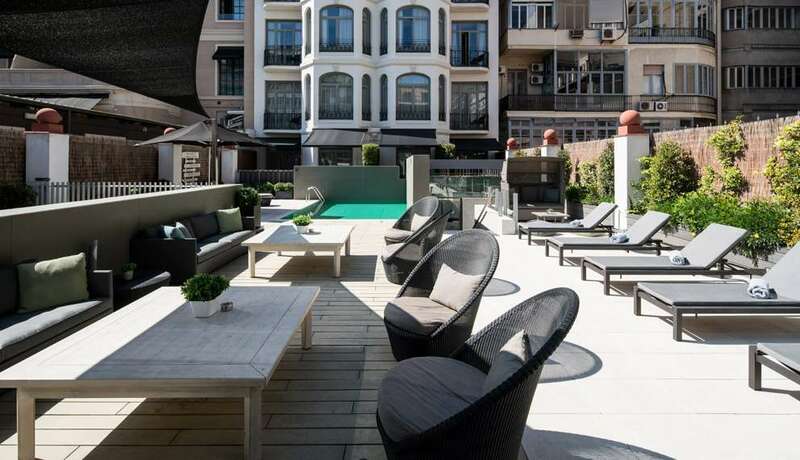 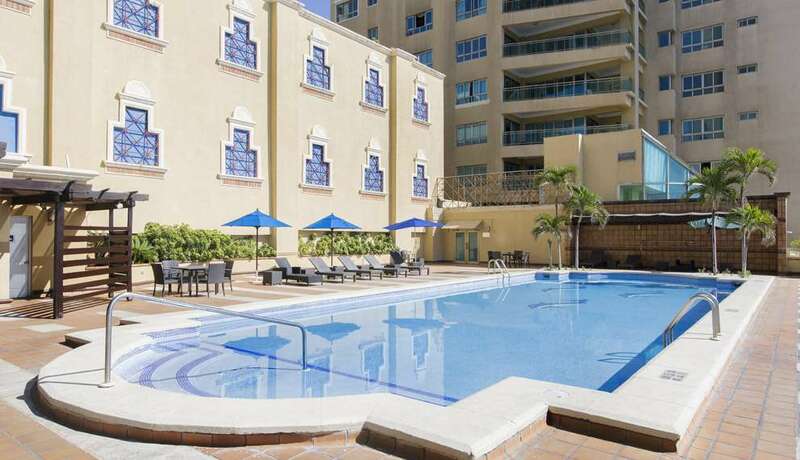 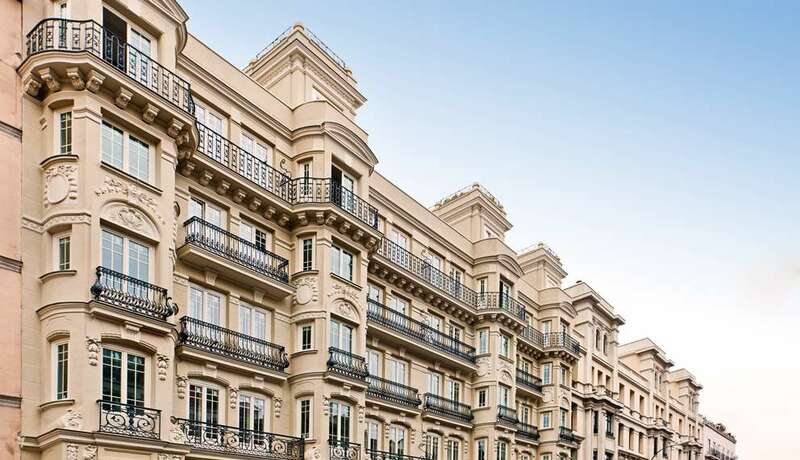 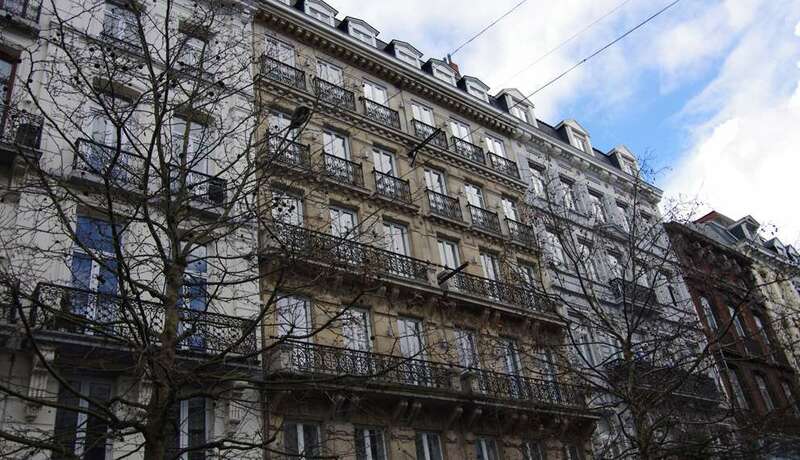 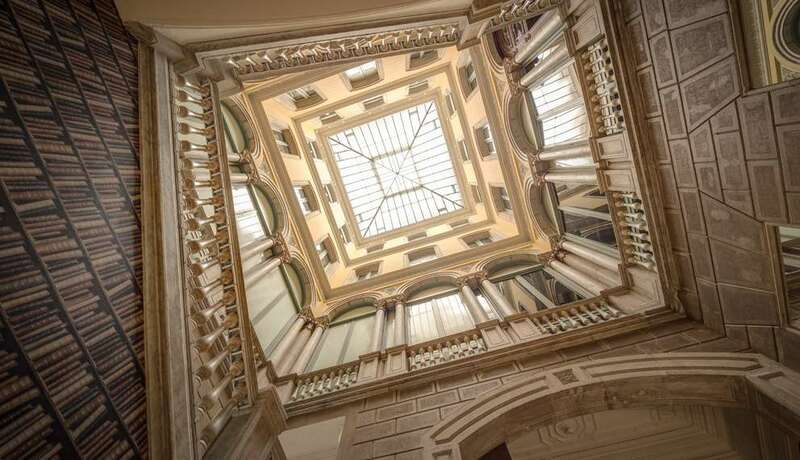 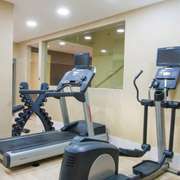 It has free WiFi, fitness area and 3 facades with decorative elements in wrought iron. 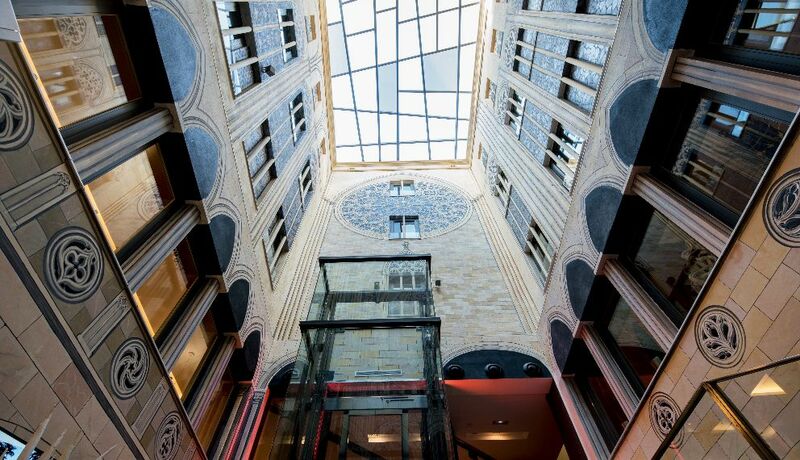 The walls are made of brick, except for the lower part of the building, which is made of stone. 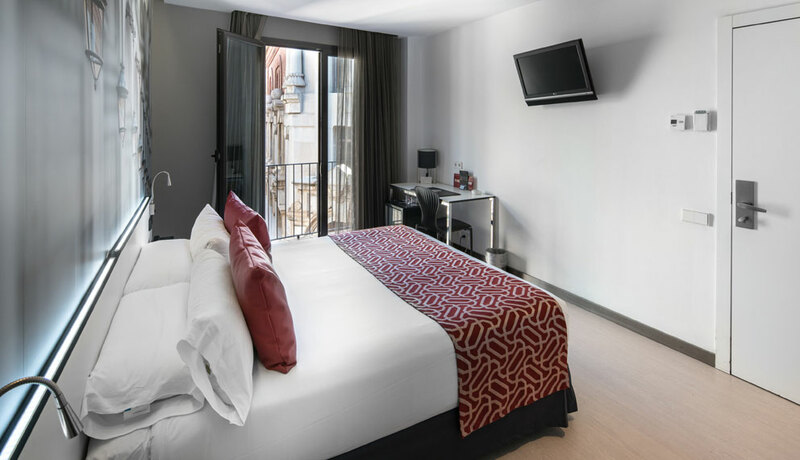 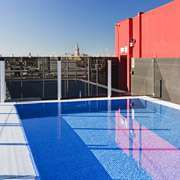 The hotel is ideally located for visiting Zaragoza and the historical centre because it’s right in the heart of the city. 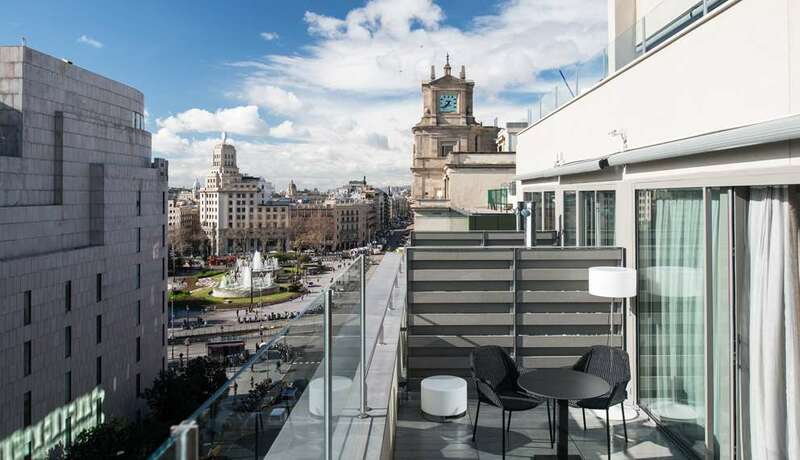 So you can stay at the Catalonia El Pilar and pop out to see the Basilica del Pilar just four minutes away by foot. 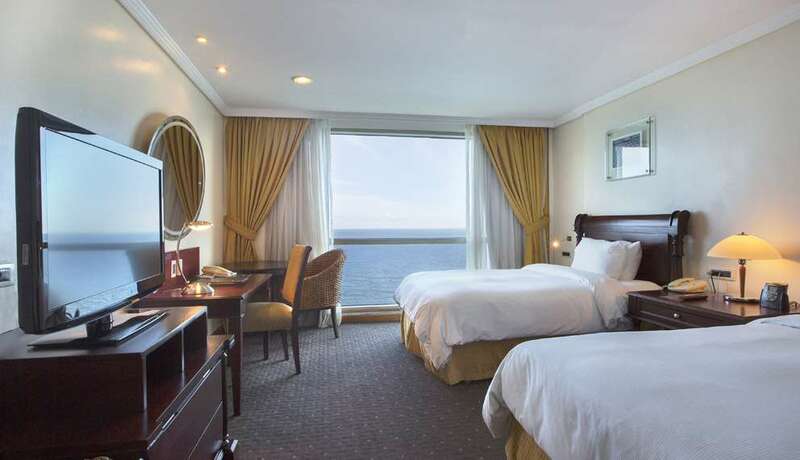 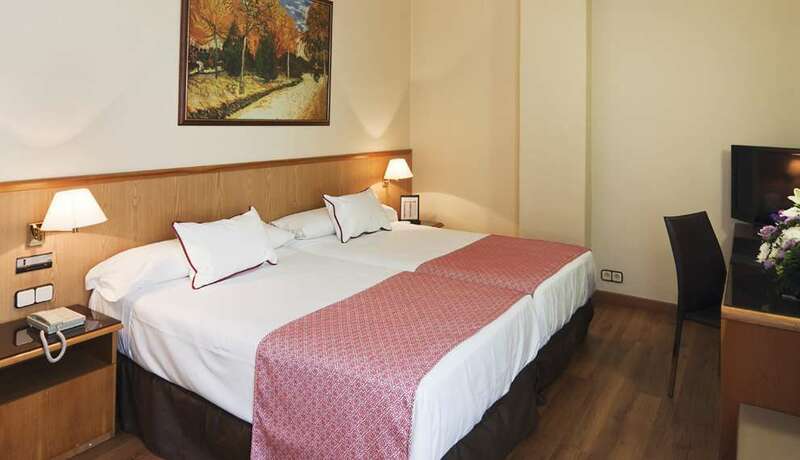 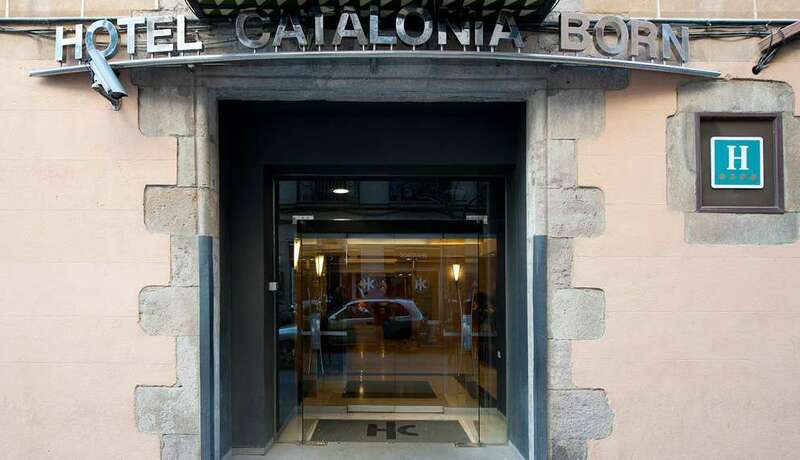 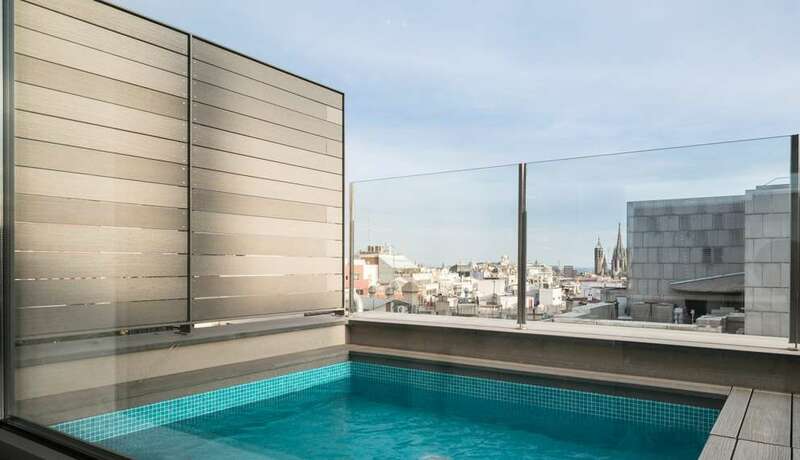 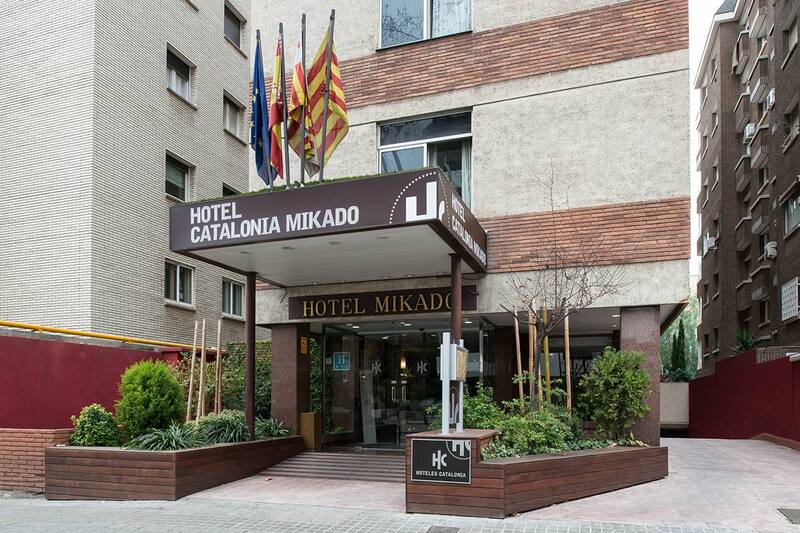 All of the rooms at the Catalonia El Pilar are silent because they are soundproofed and feature comfy beds, free wifi, a private bathroom with a hair dryer and courtesy items, a minibar, hardwood flooring and a safe. 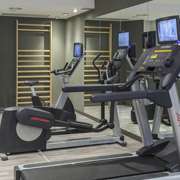 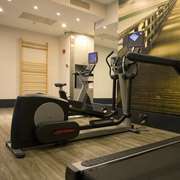 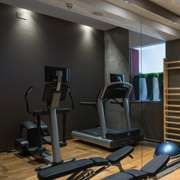 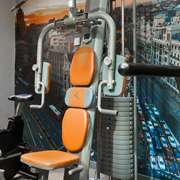 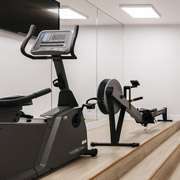 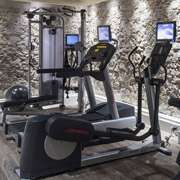 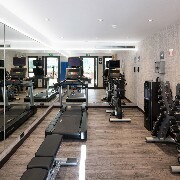 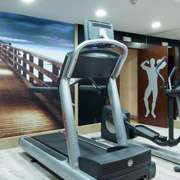 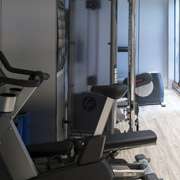 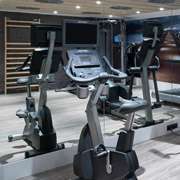 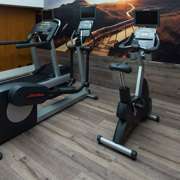 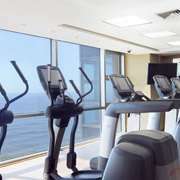 If sport is your thing, stop in at the free hotel gym to keep in shape while you’re travelling. 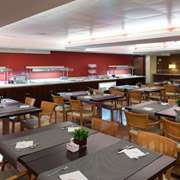 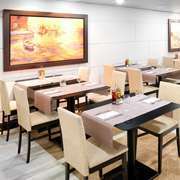 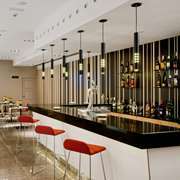 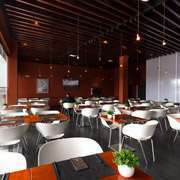 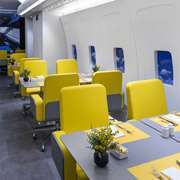 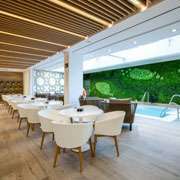 The restaurant/bar serves a buffet breakfast, in addition to delicious meals for lunch and dinner. 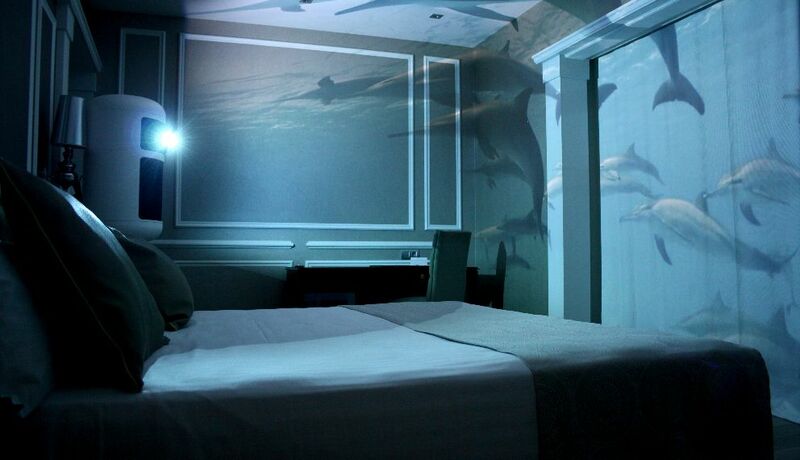 If you prefer to keep to your room - no problem. 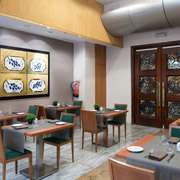 Room service will bring whatever you want from the menu, which features an extensive array of dishes and drinks to choose from. 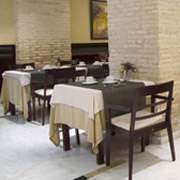 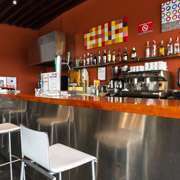 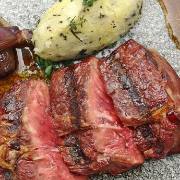 Otherwise, you can go out for tapas - there are various restaurants and bars to try just five minutes away on foot. 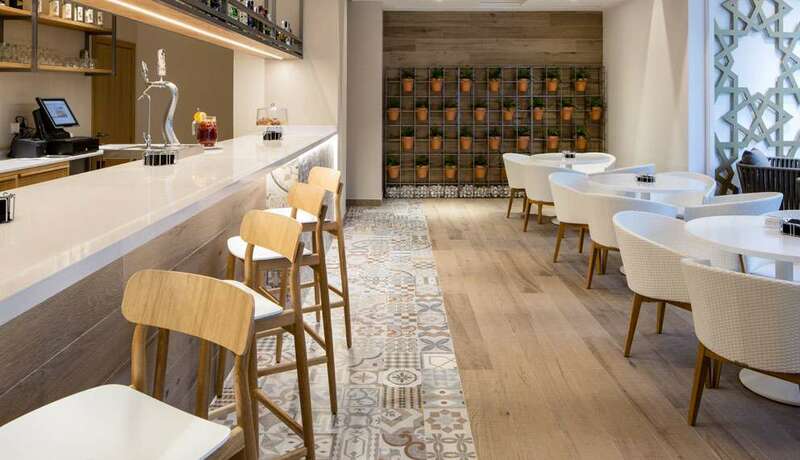 Check out the tapas area around calle El Tubo and discover the local cuisine while enjoying the vibe. 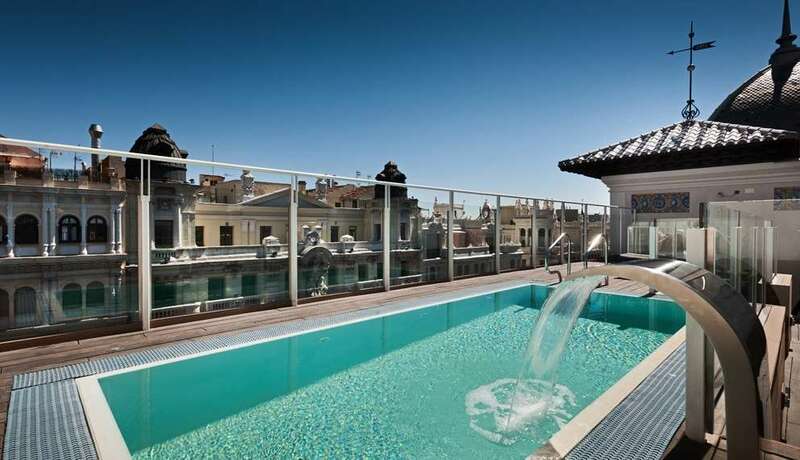 Lap up the tourist, cultural, leisure and gastronomic charms of this beautiful city! 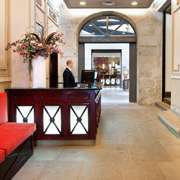 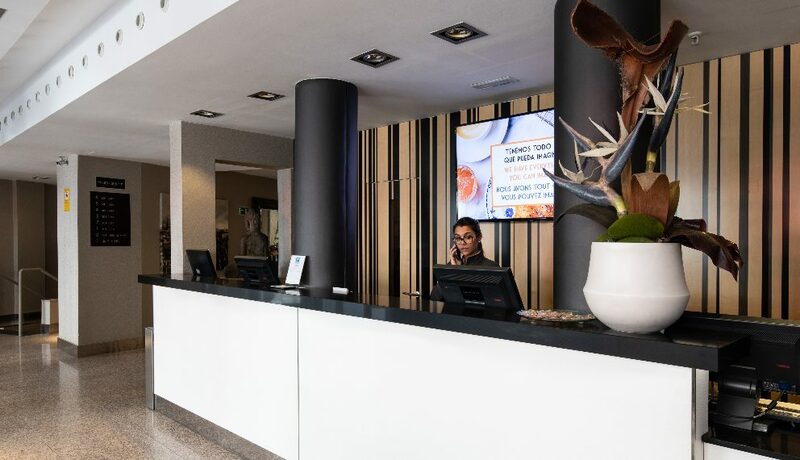 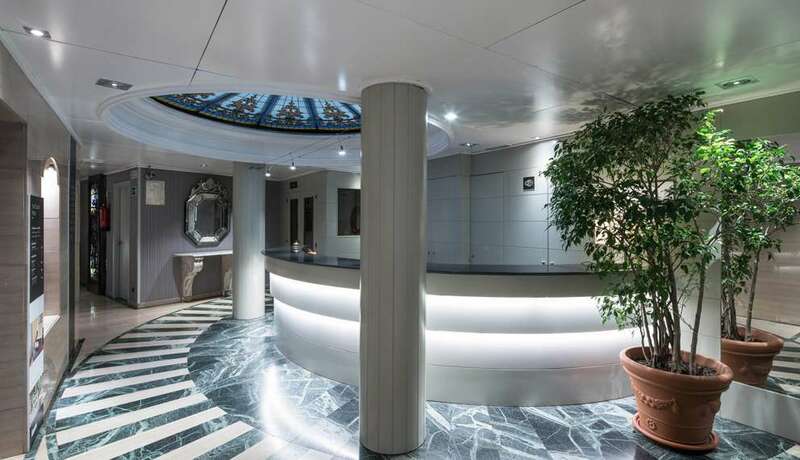 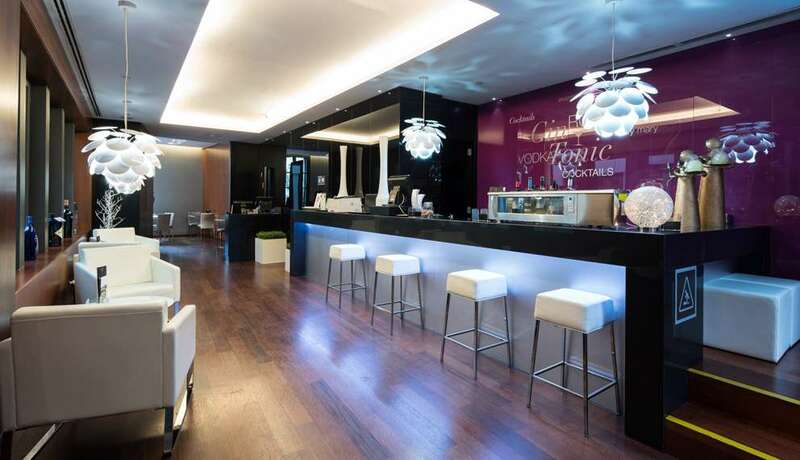 Our staff at the reception desk will help you during your stay to ensure you an unforgettable time in Zaragoza. 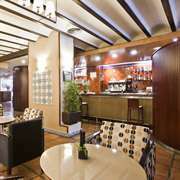 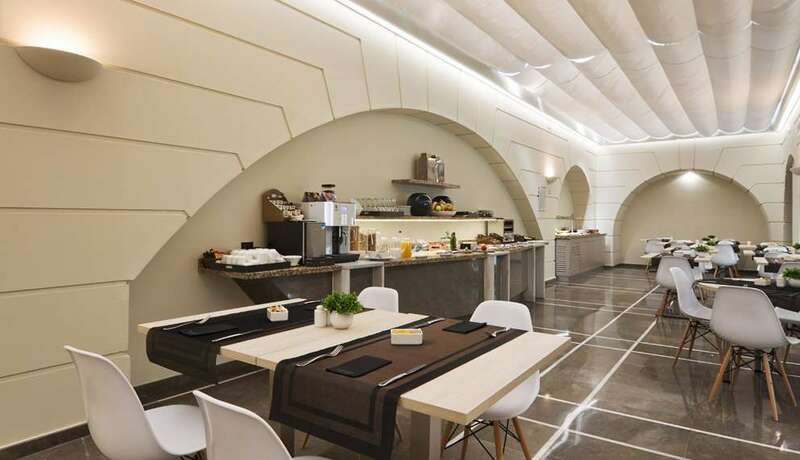 In addition to city hotels, we offer you other types of hotels so you have everything you need.